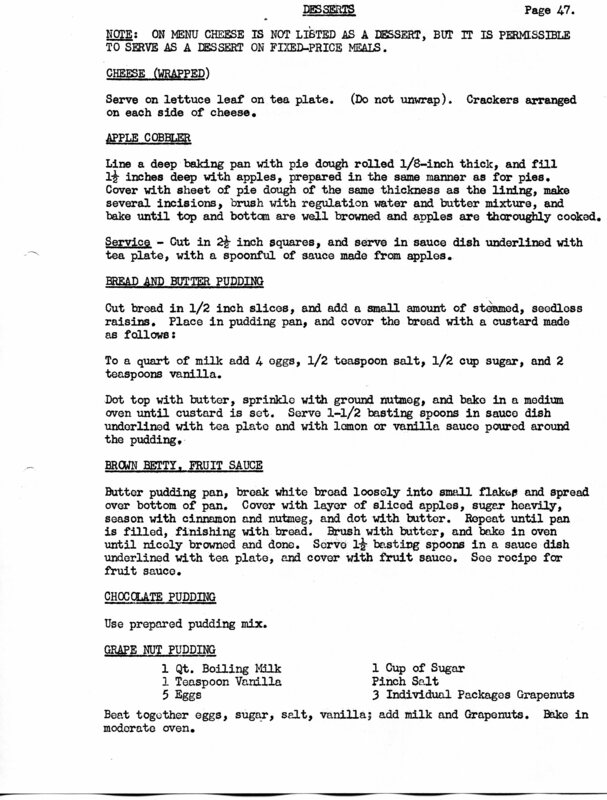 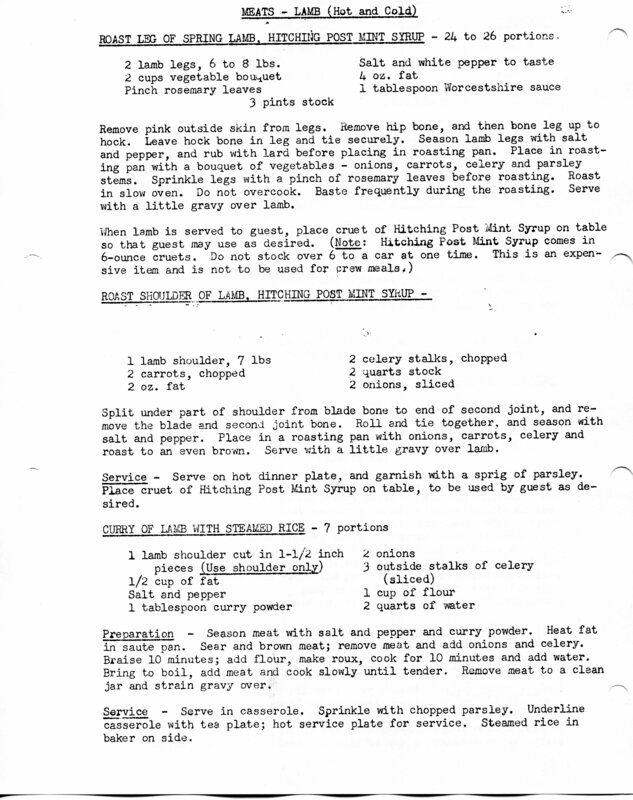 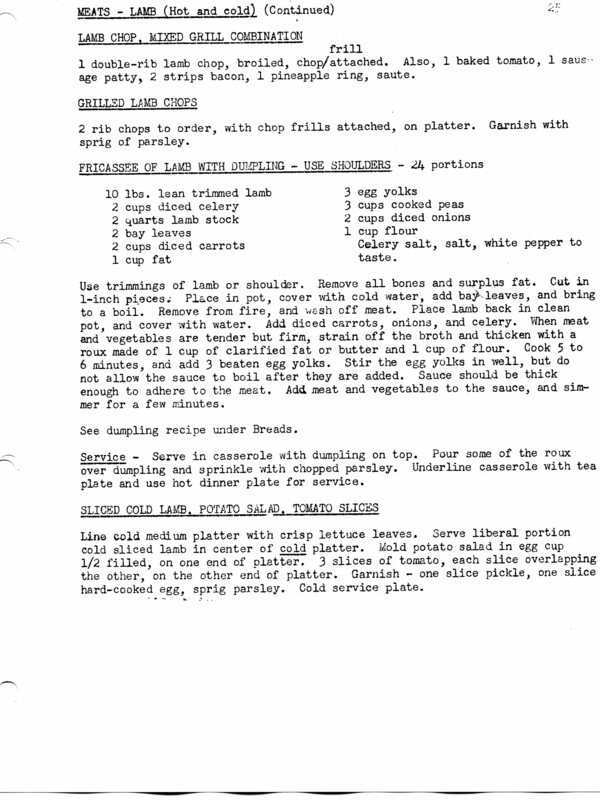 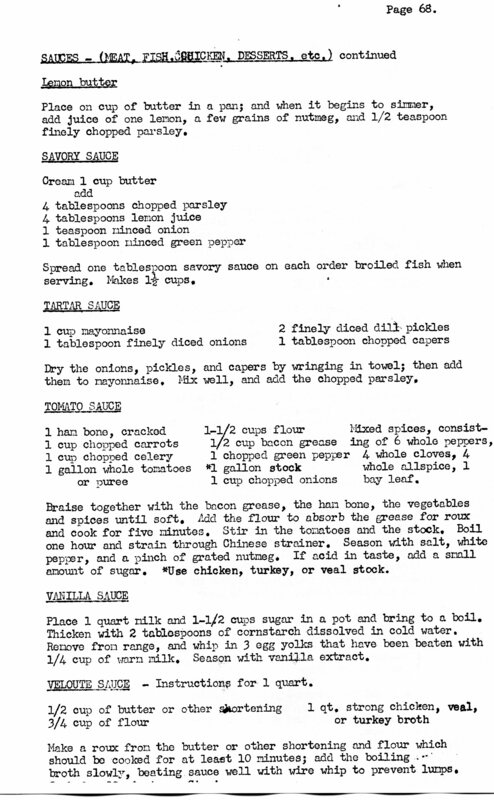 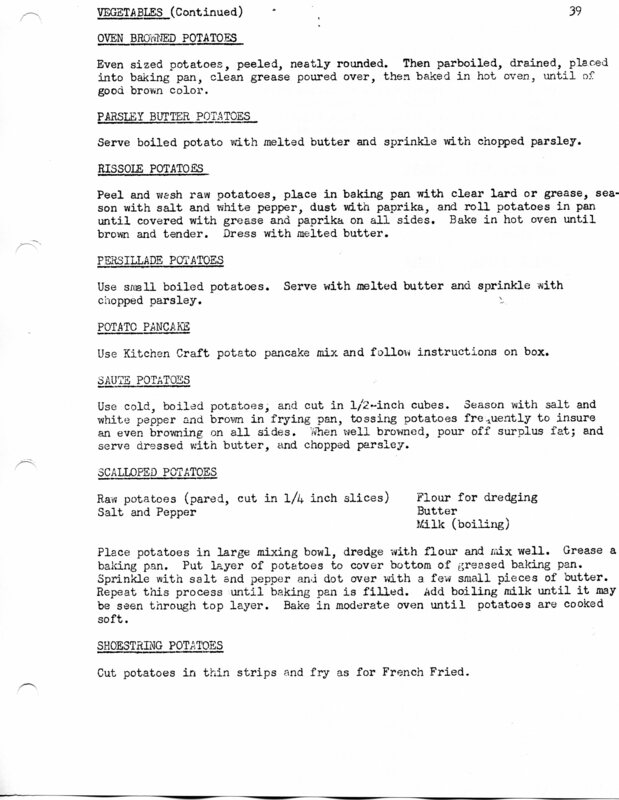 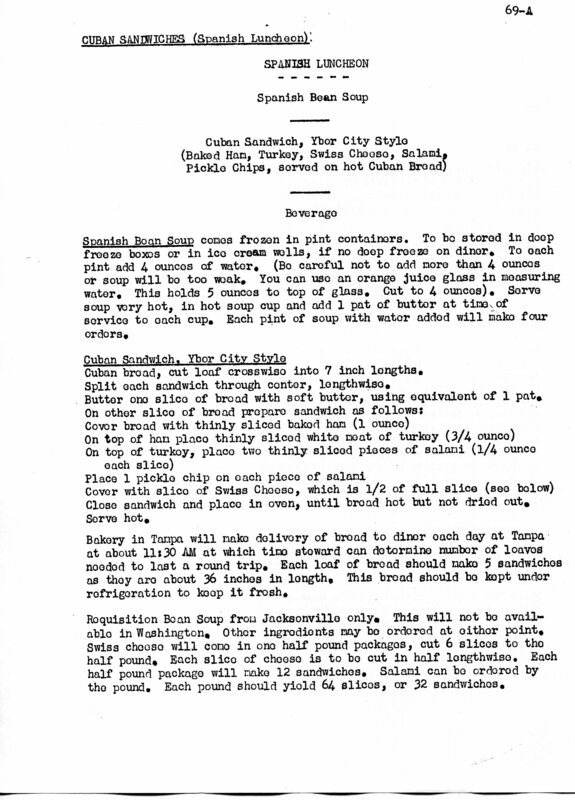 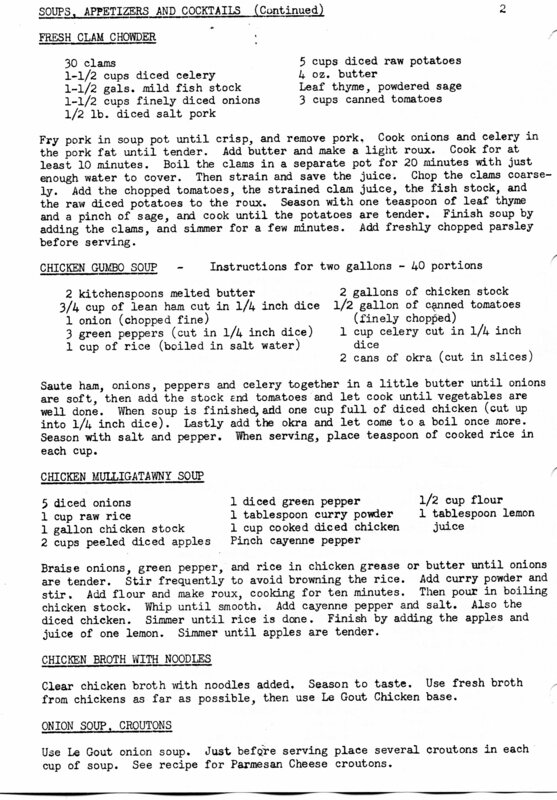 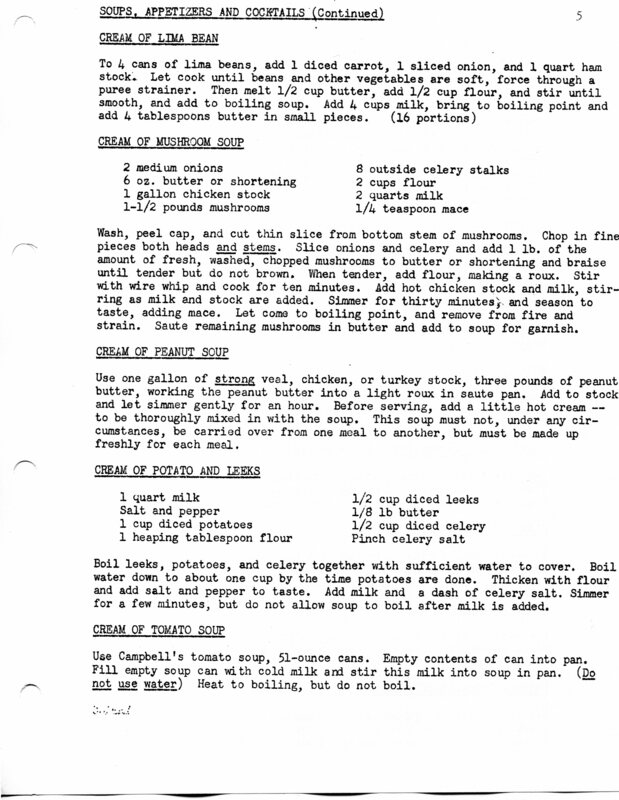 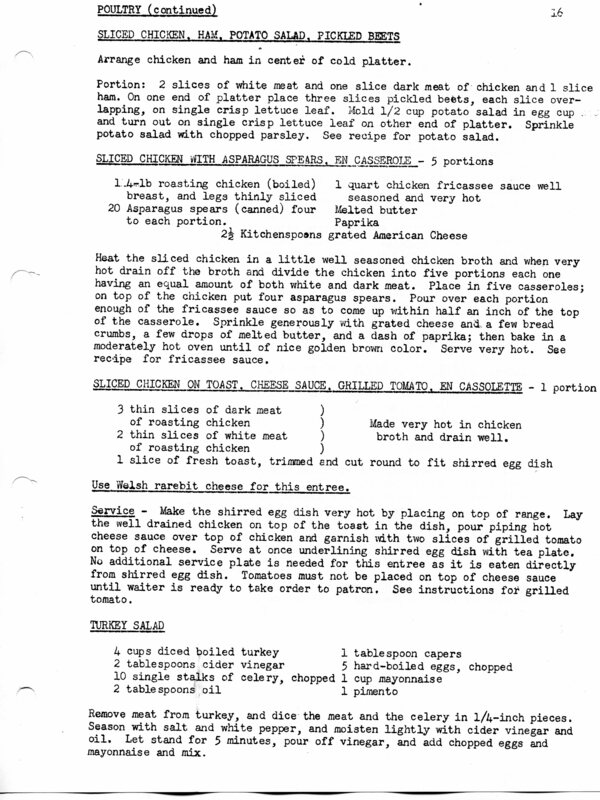 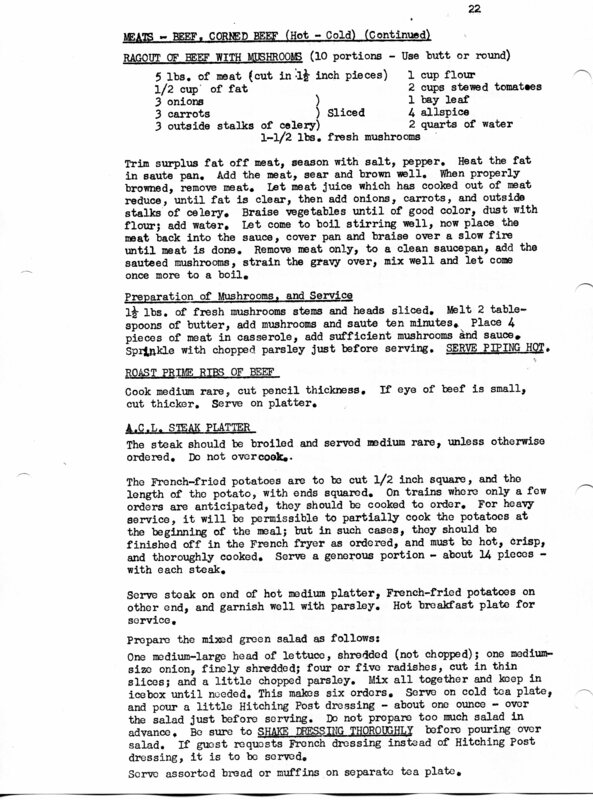 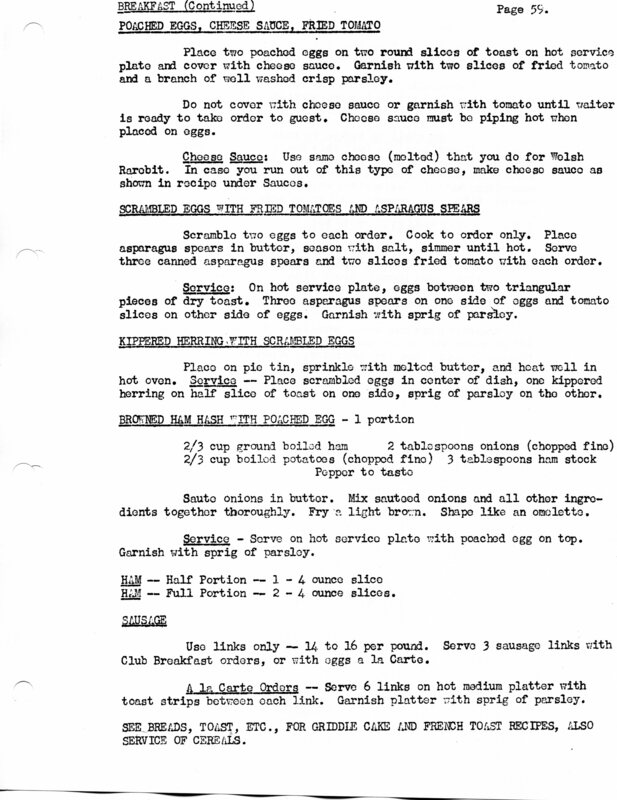 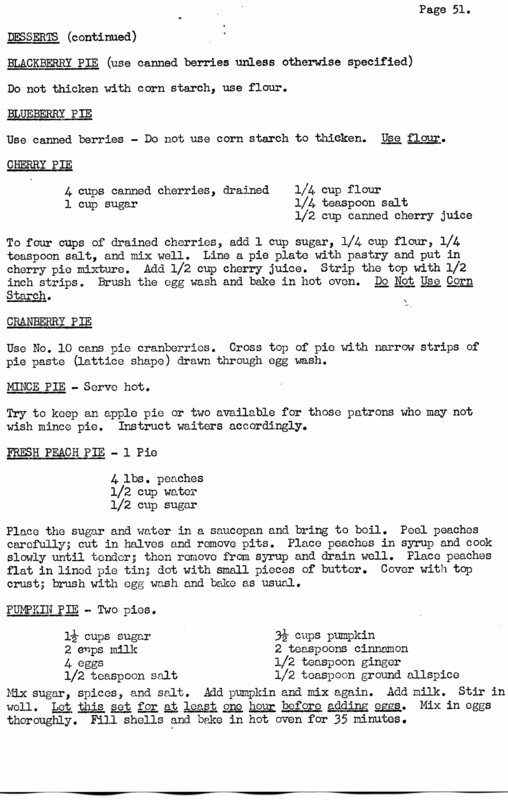 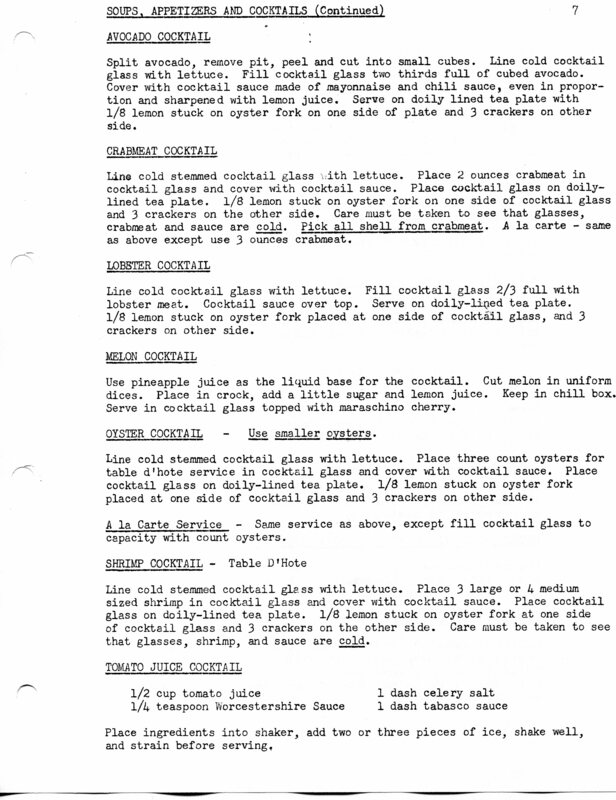 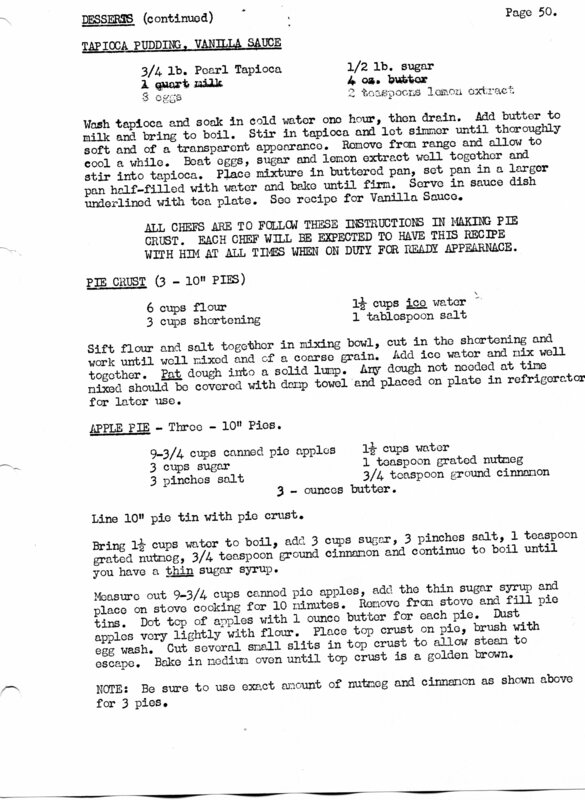 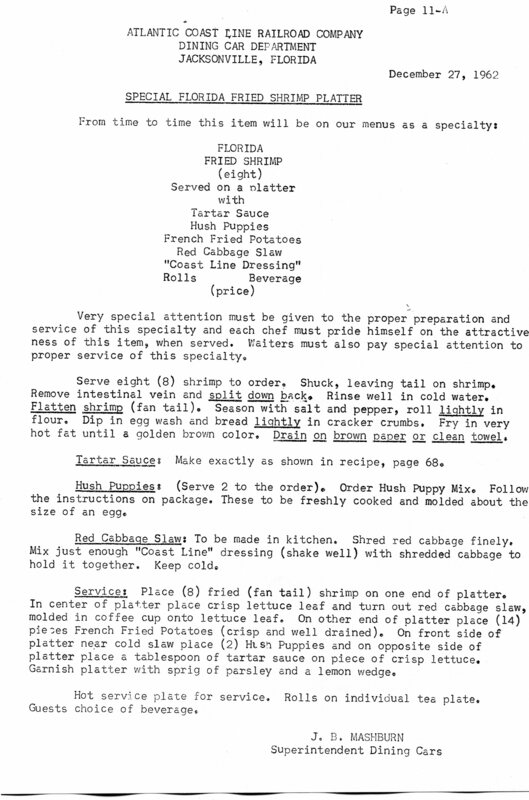 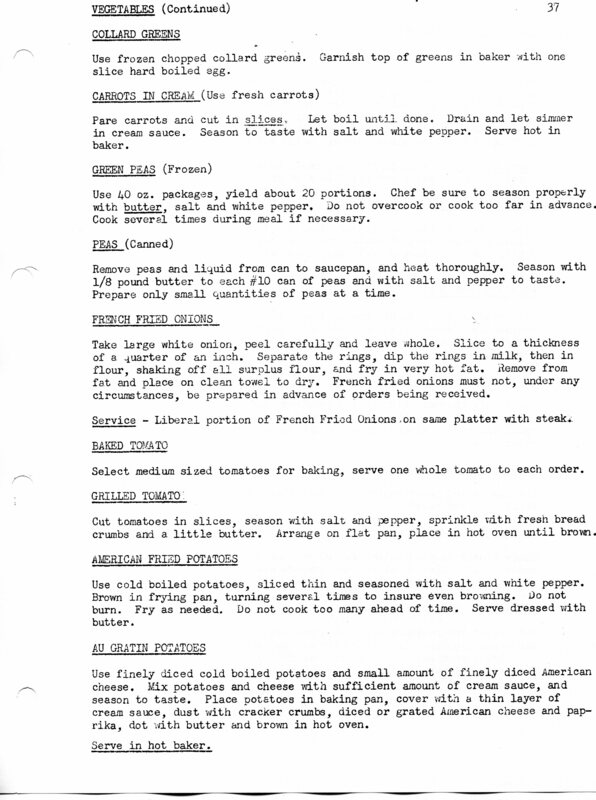 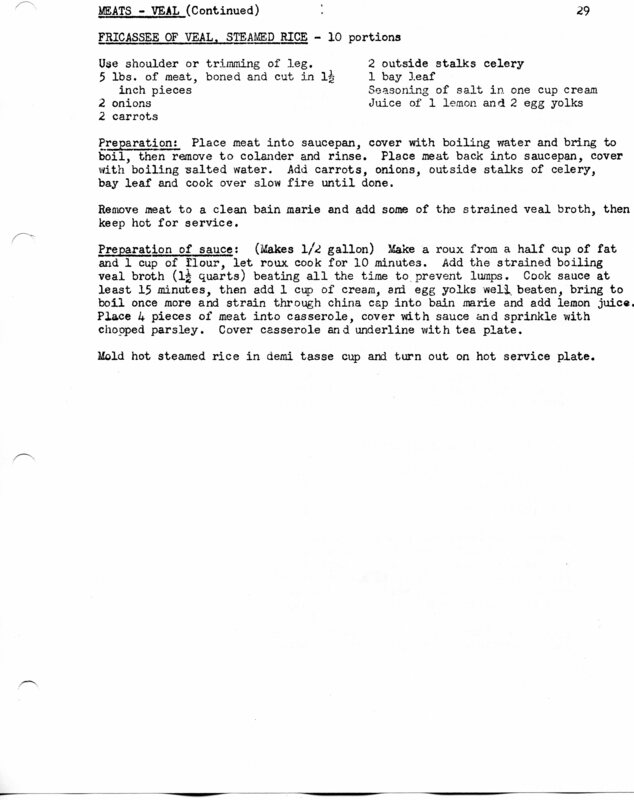 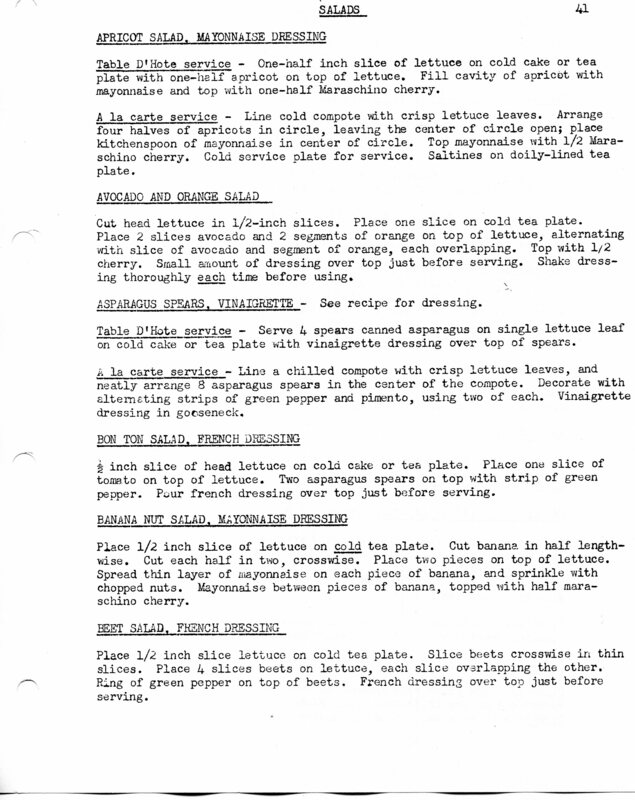 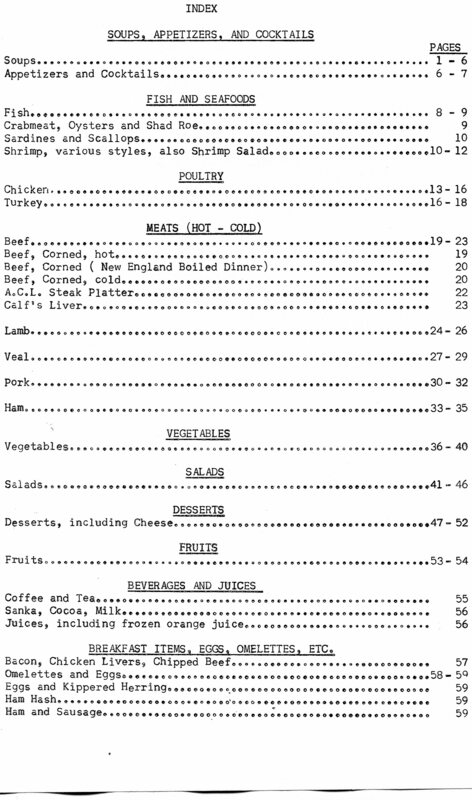 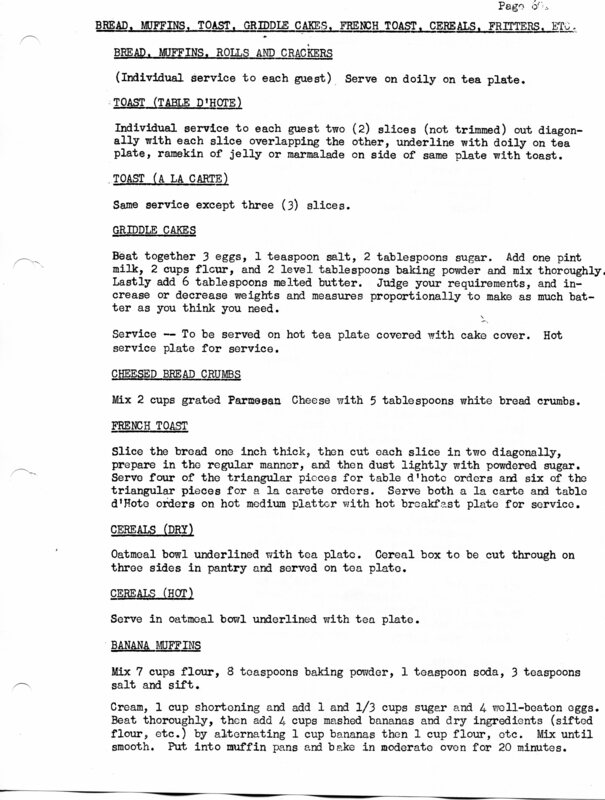 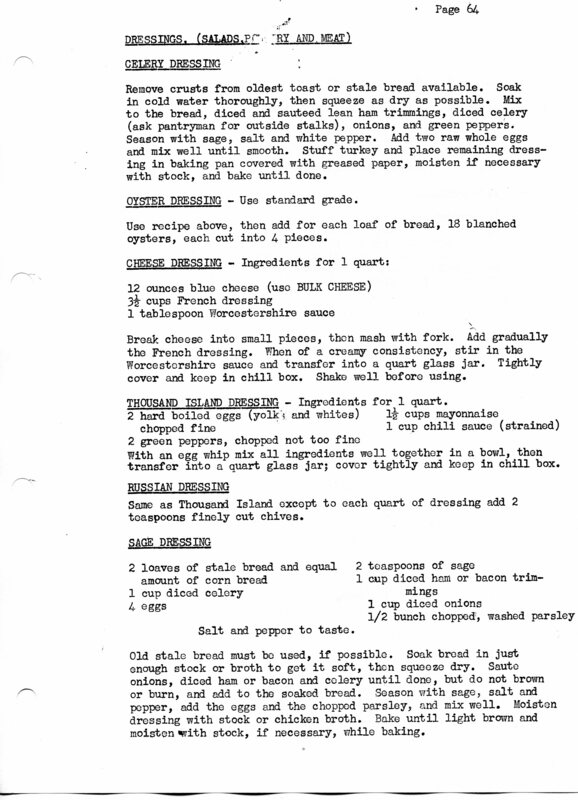 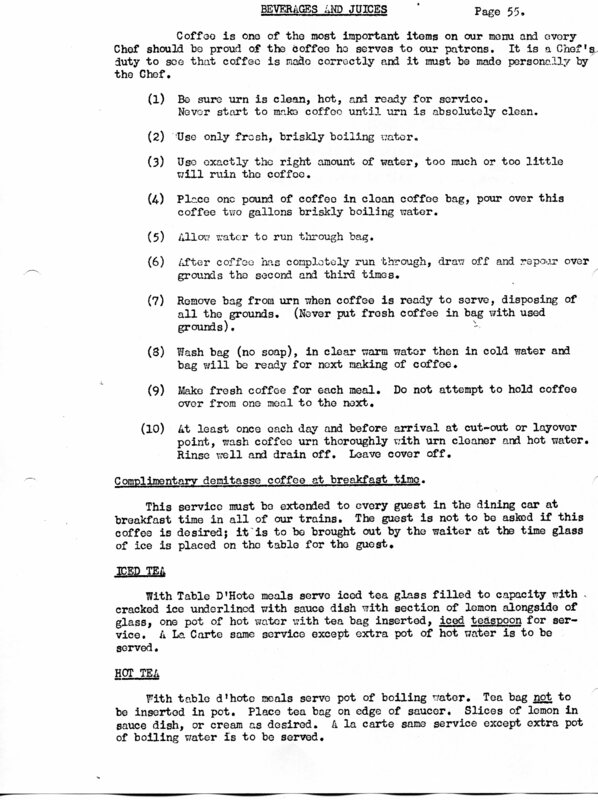 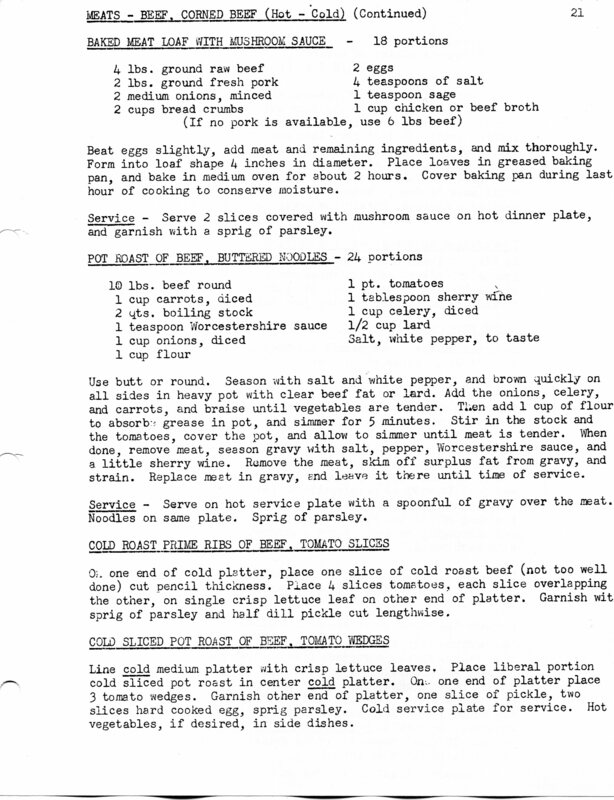 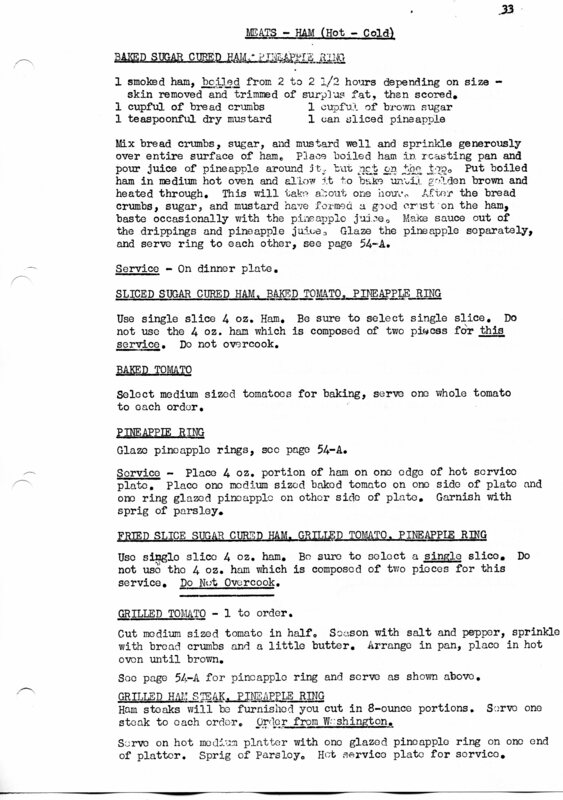 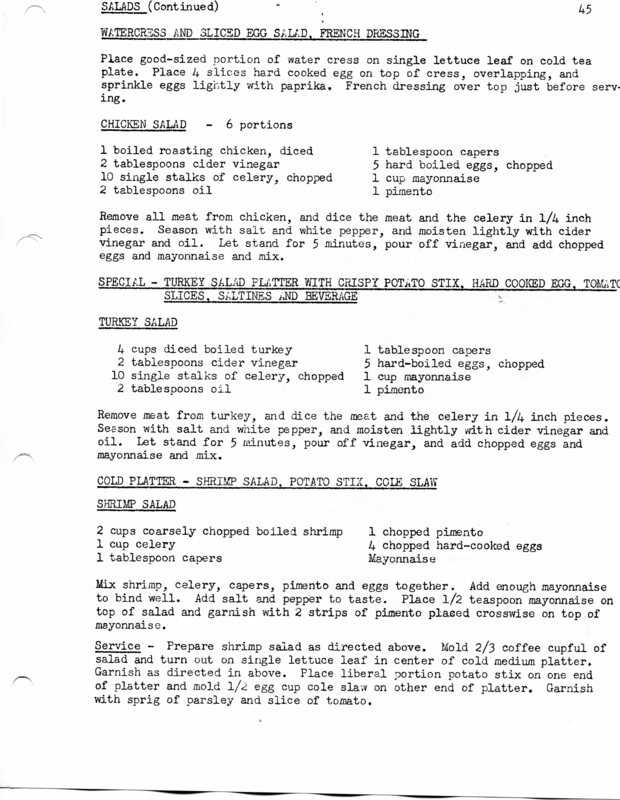 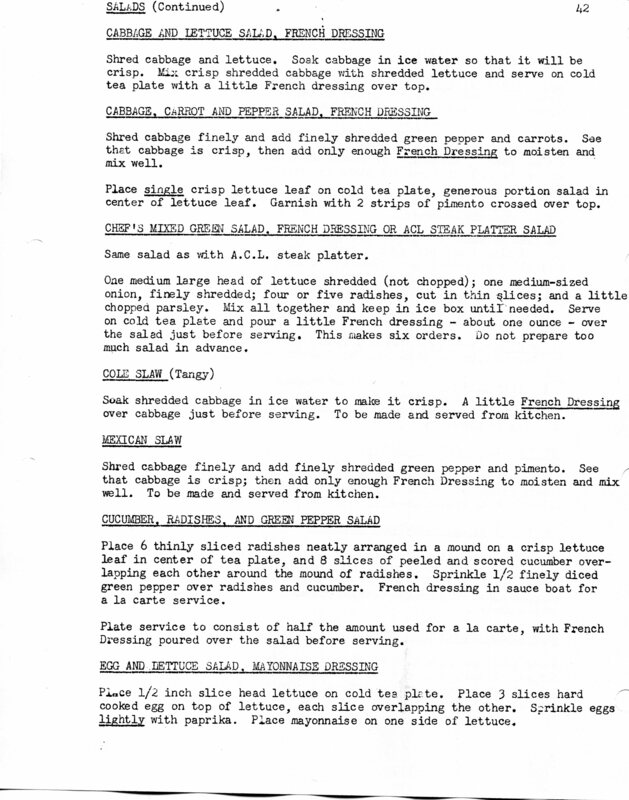 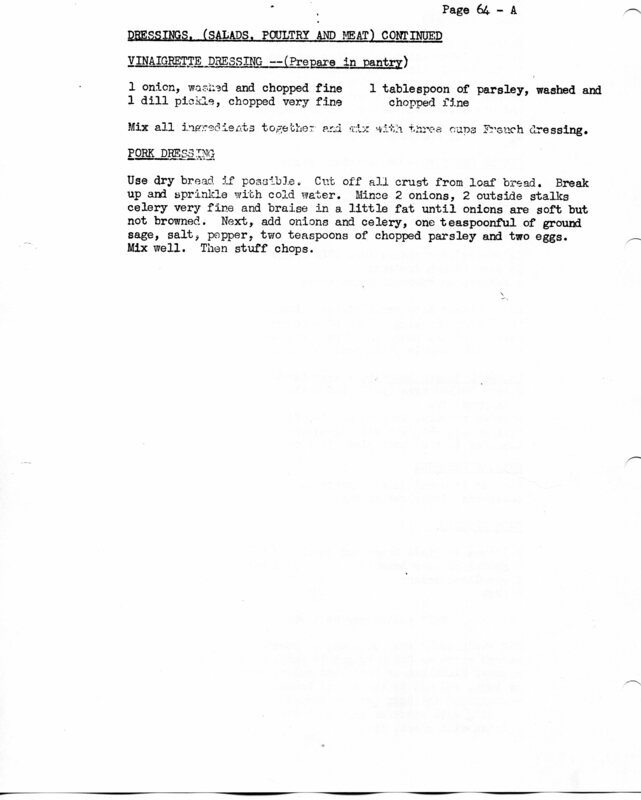 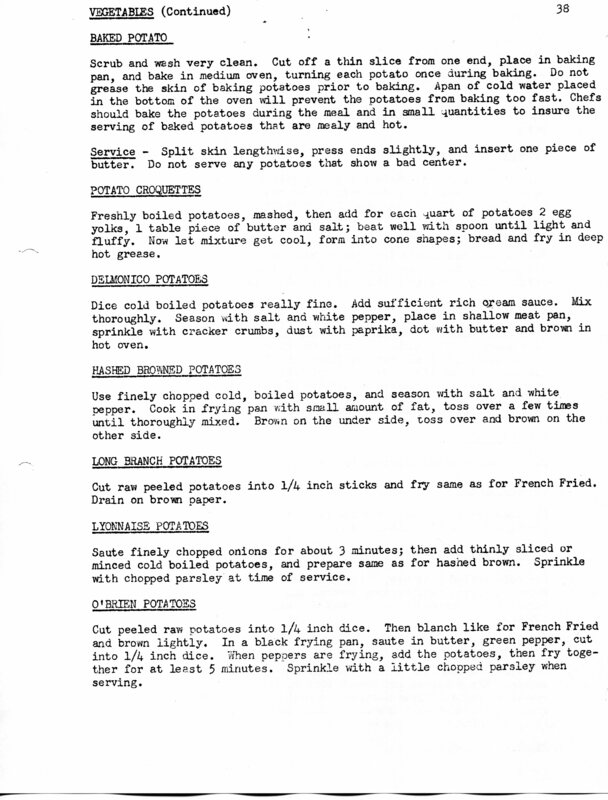 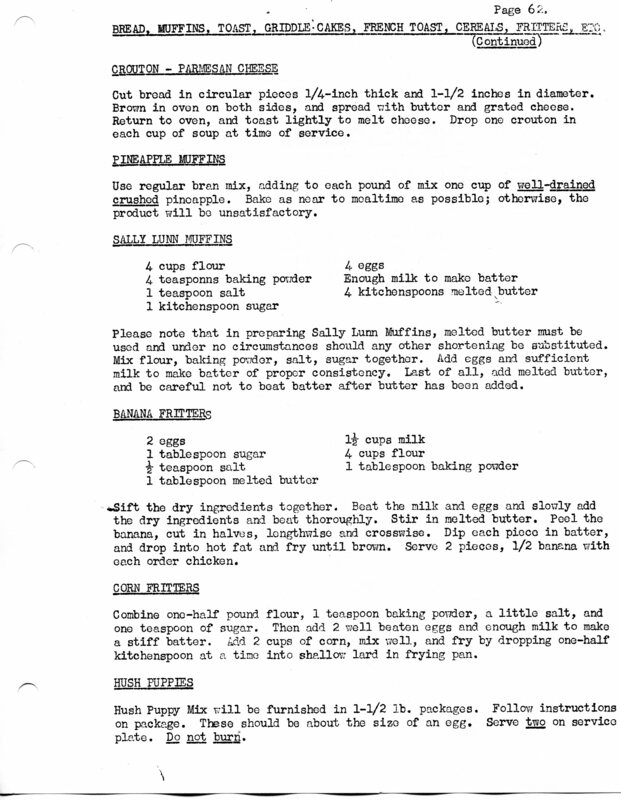 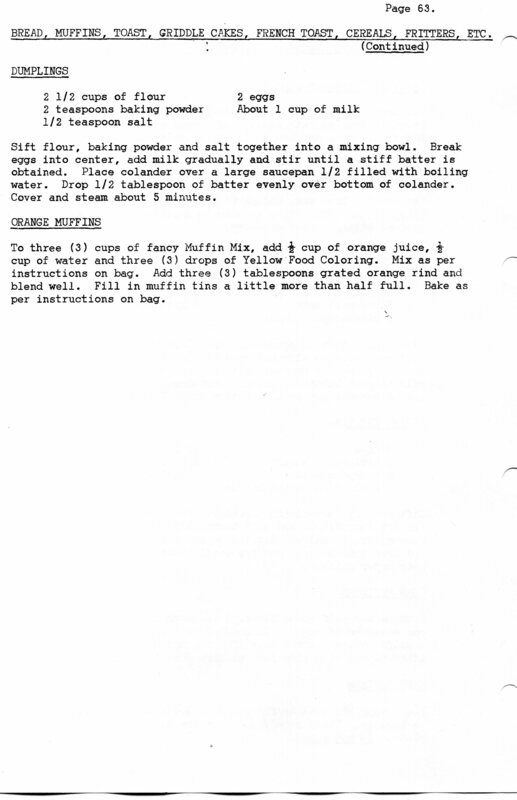 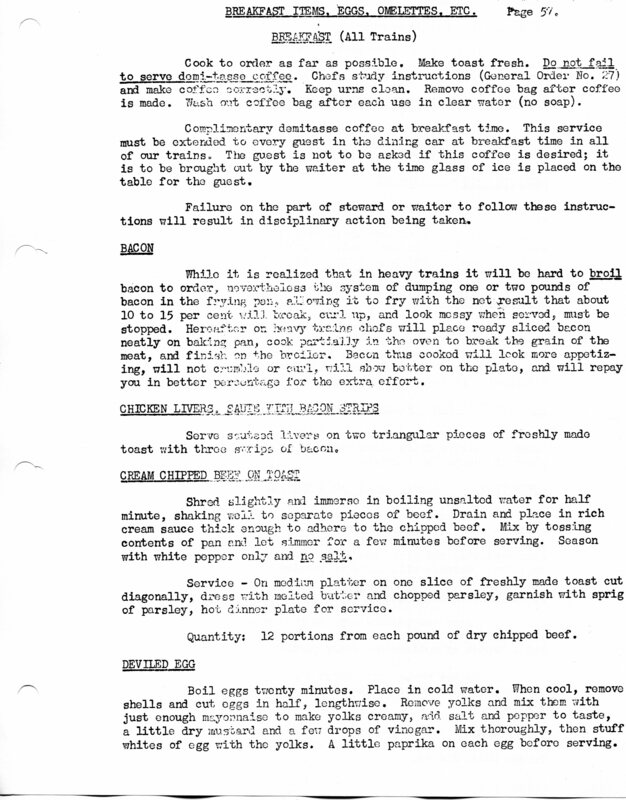 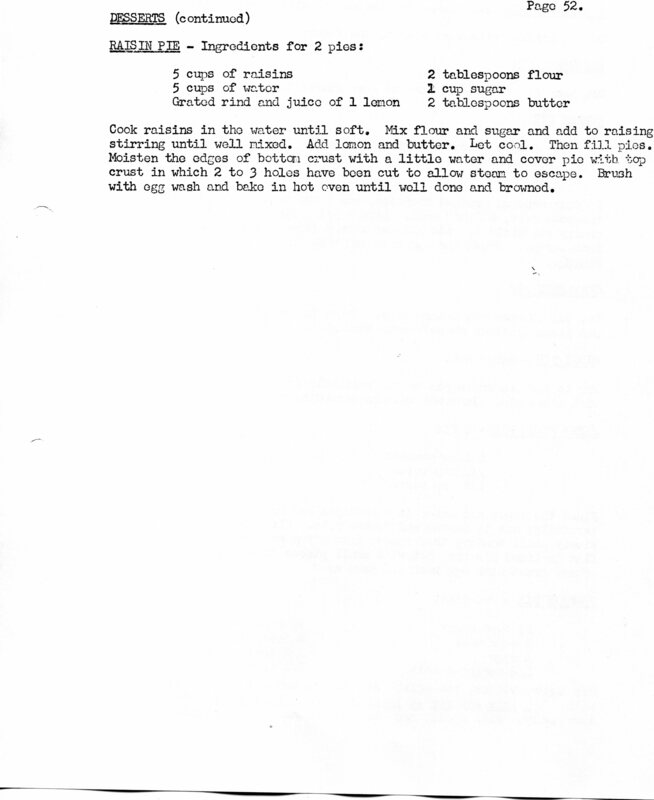 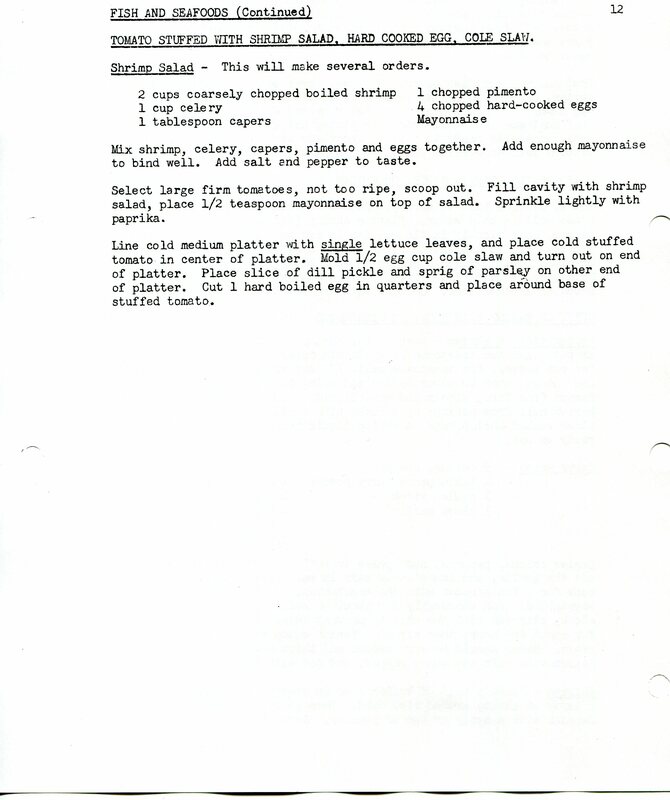 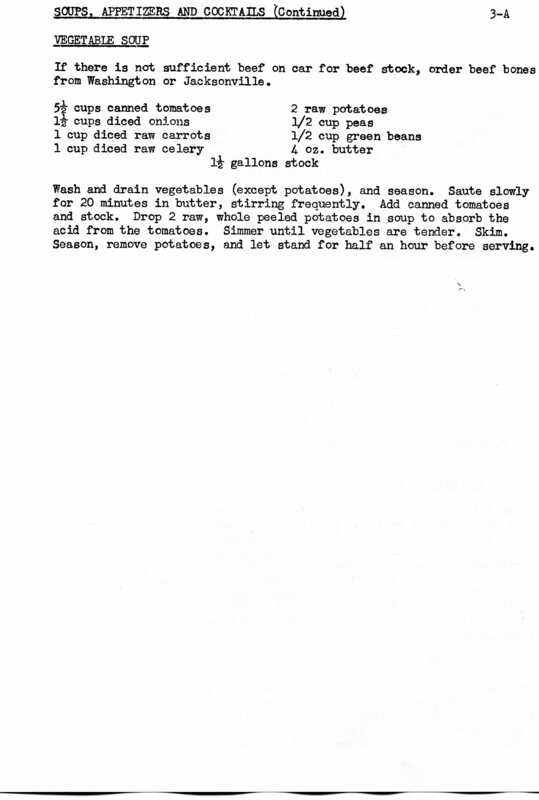 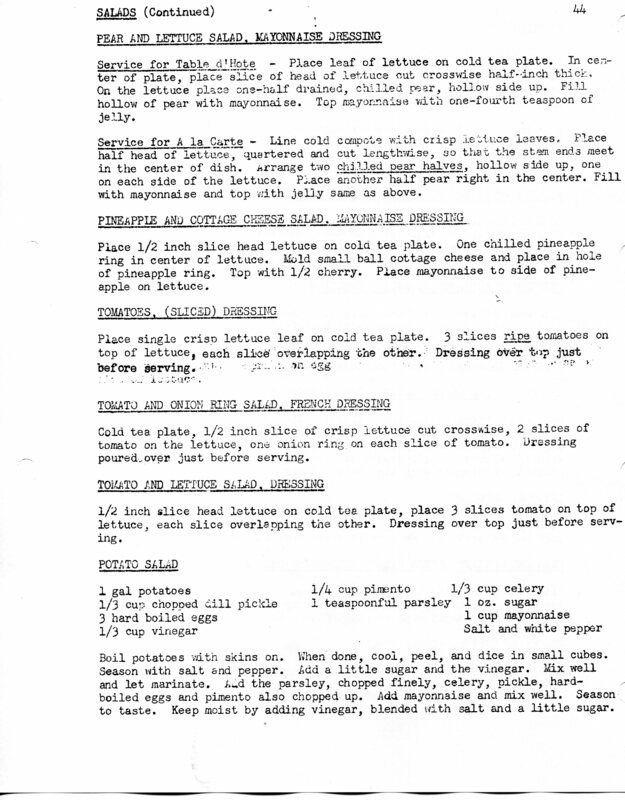 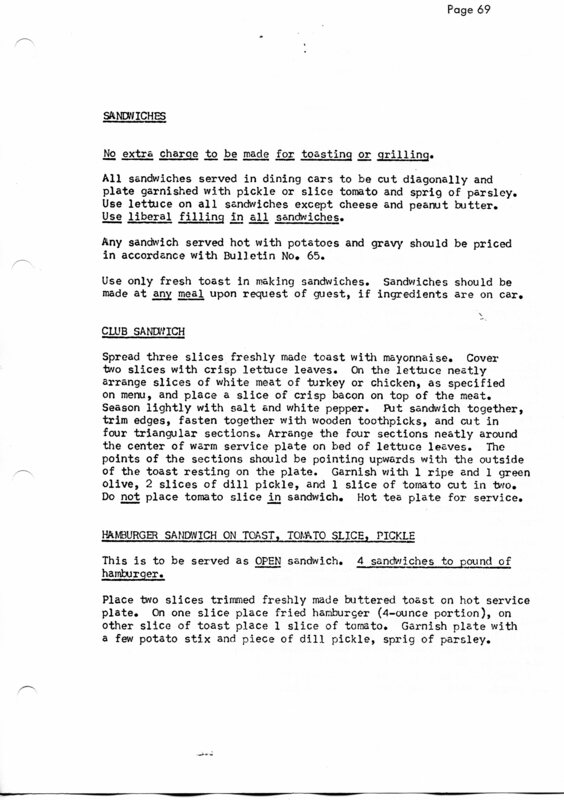 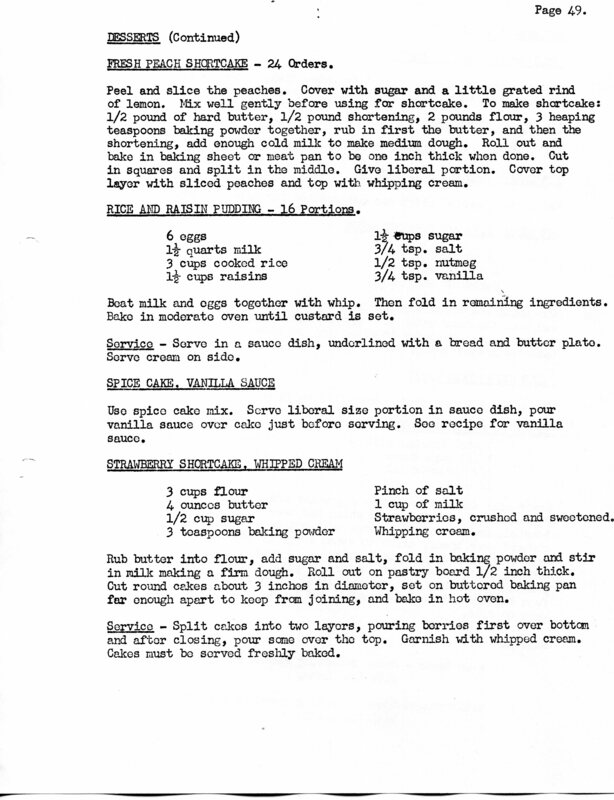 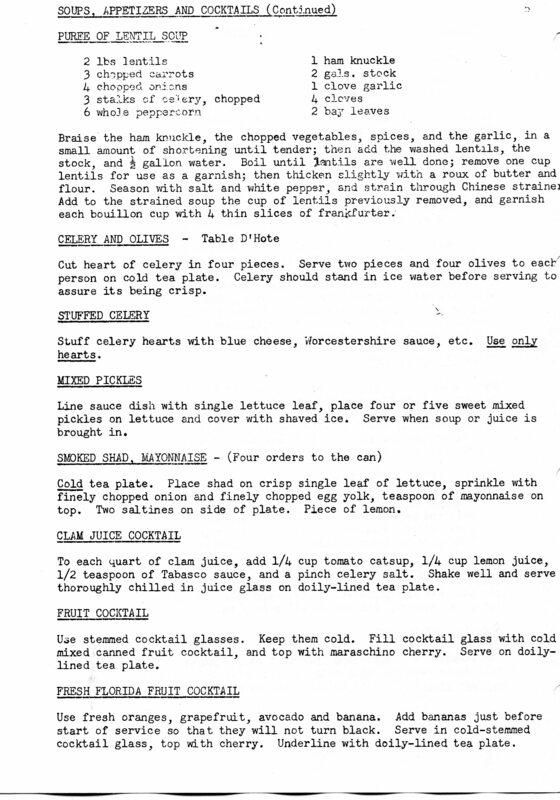 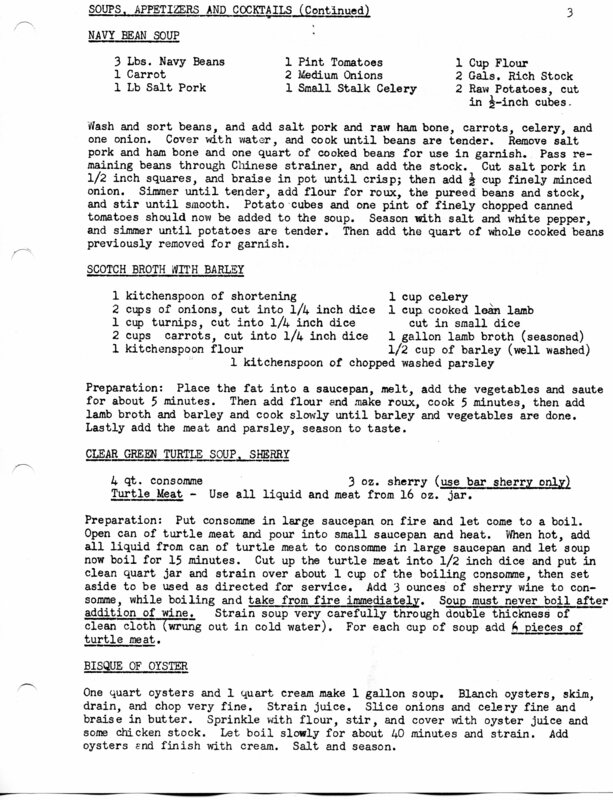 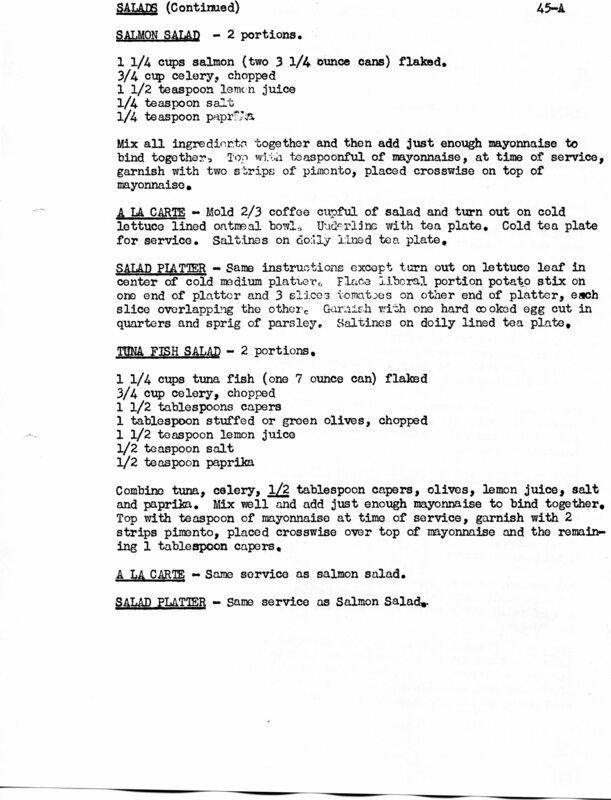 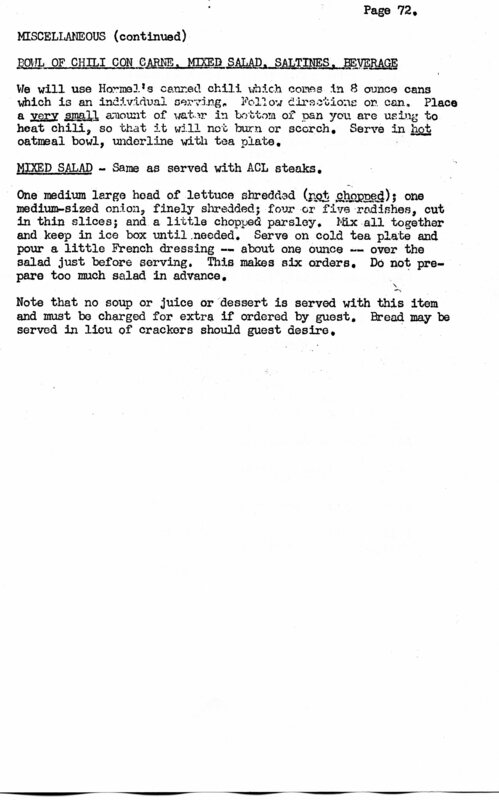 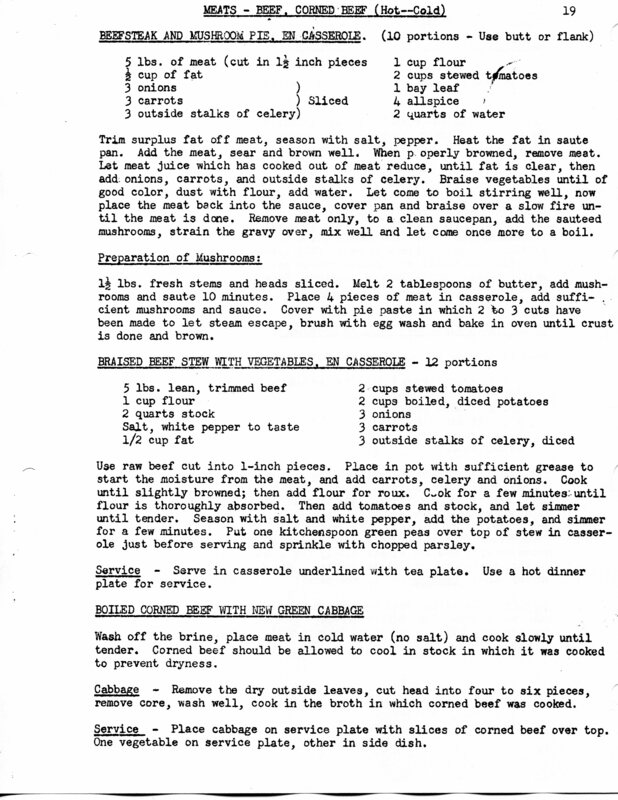 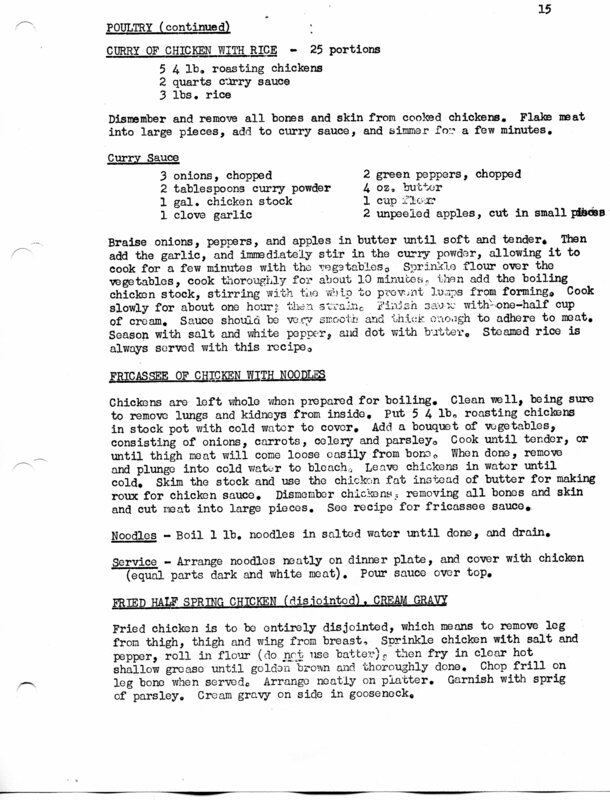 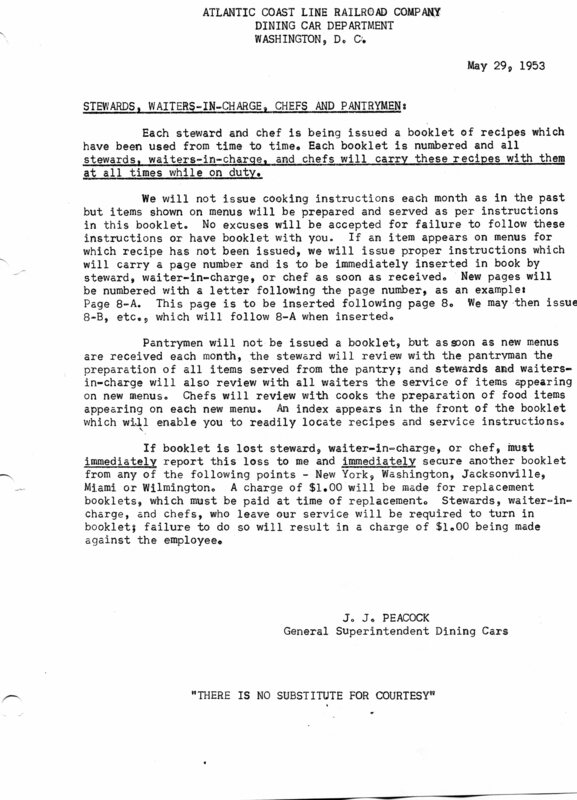 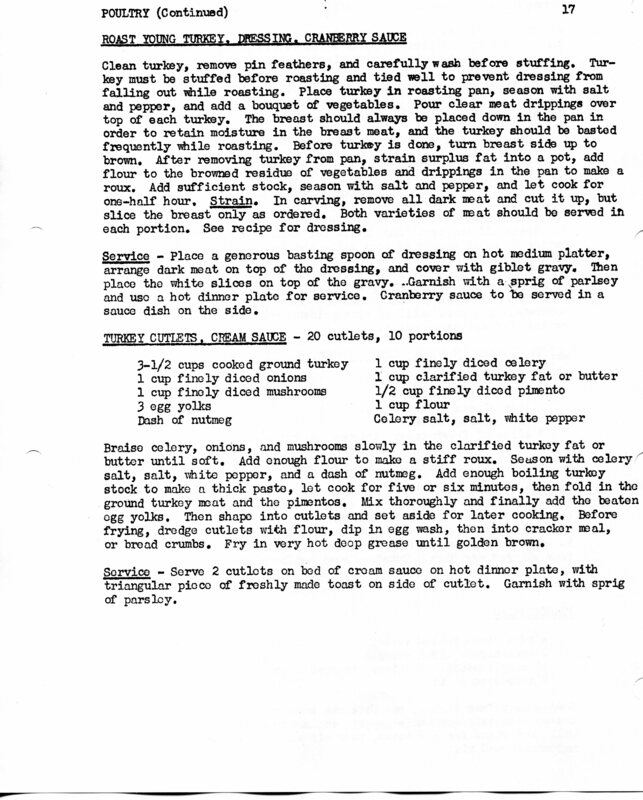 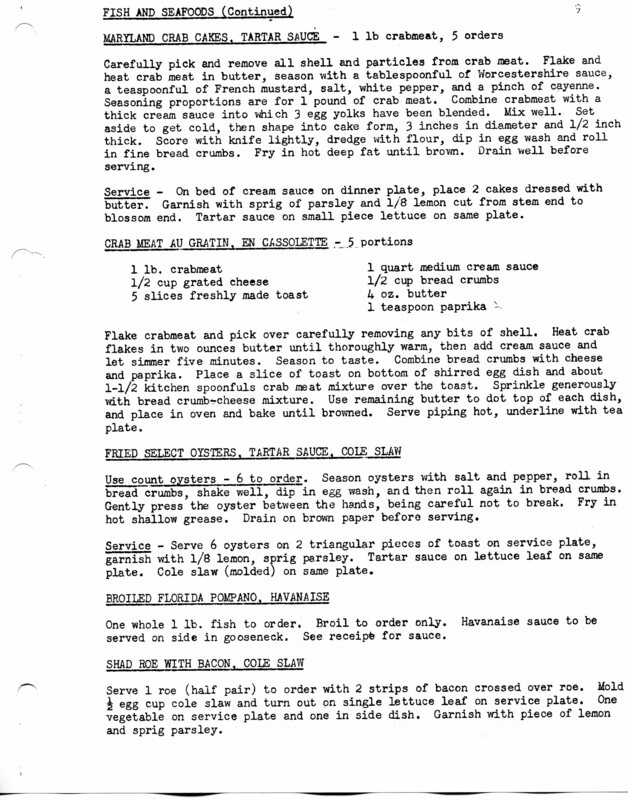 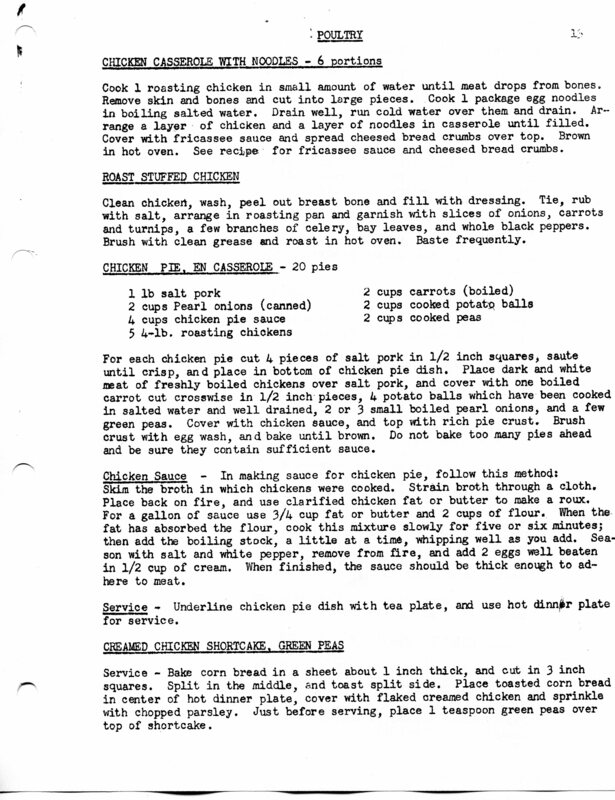 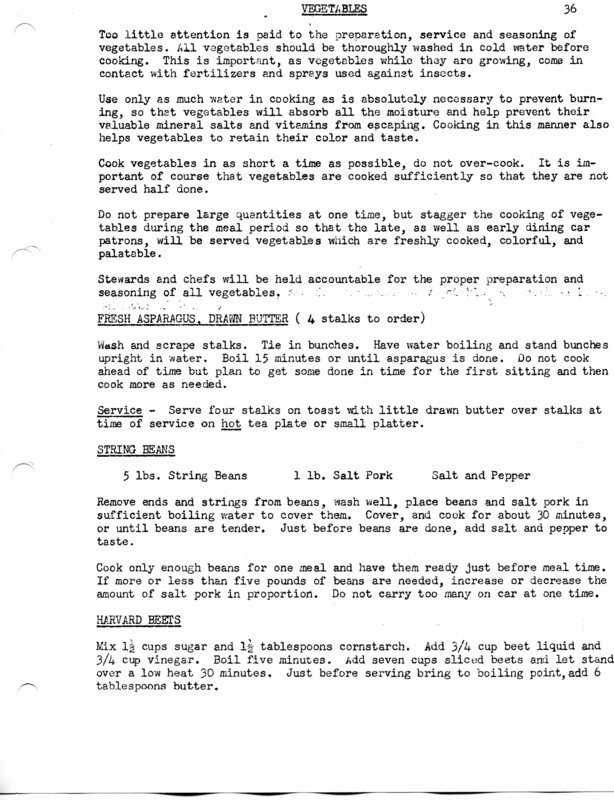 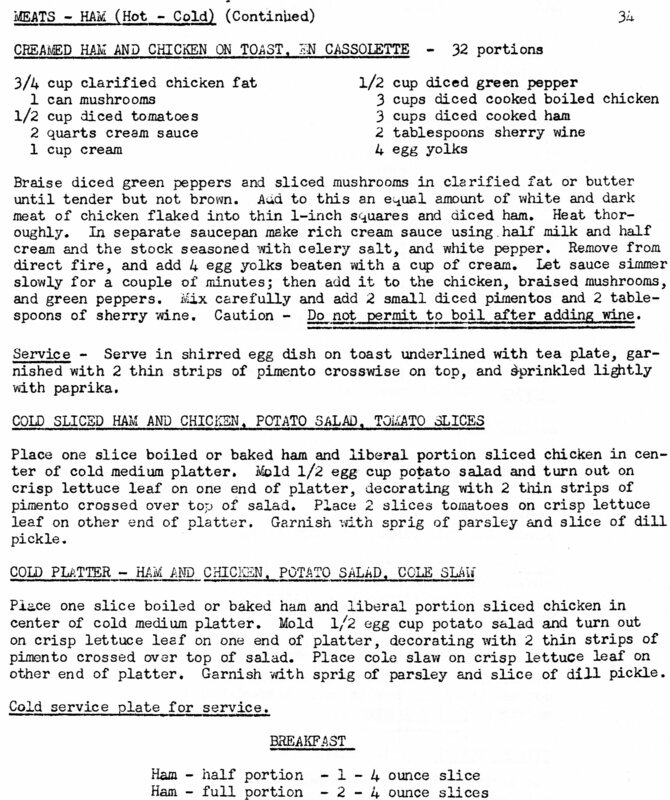 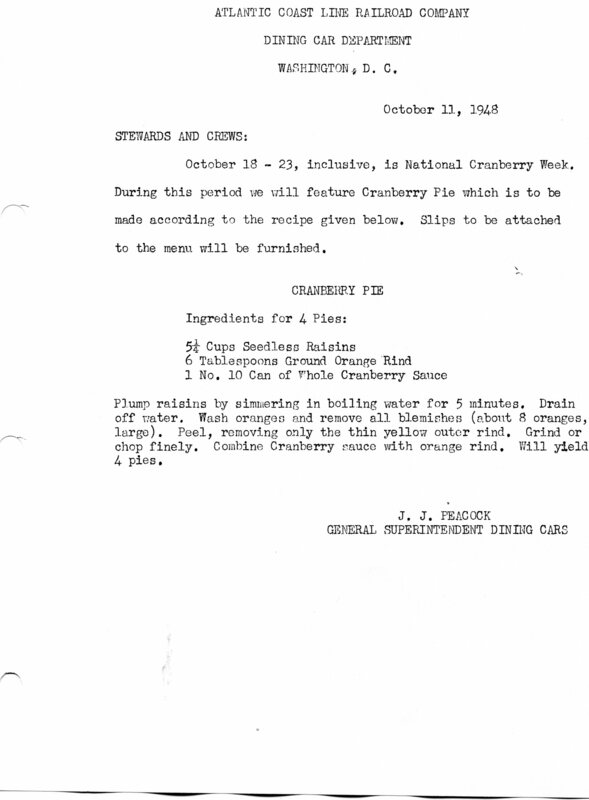 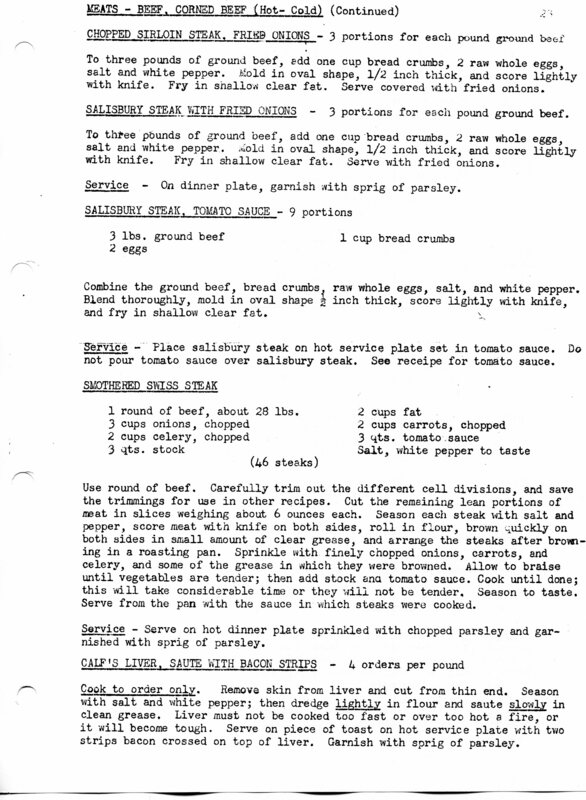 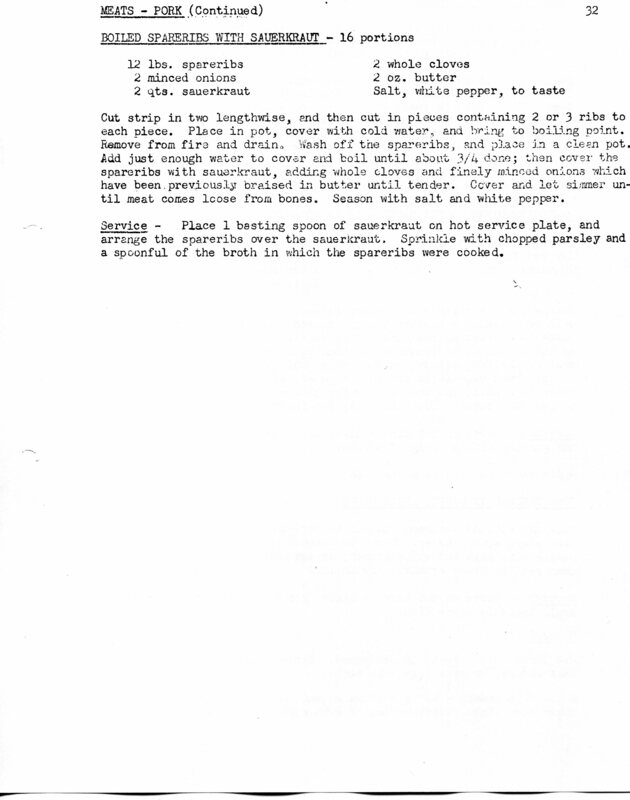 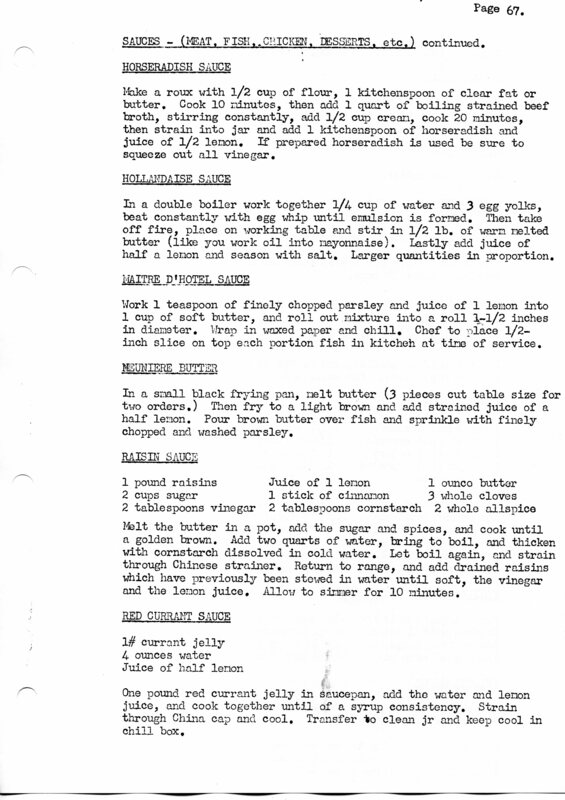 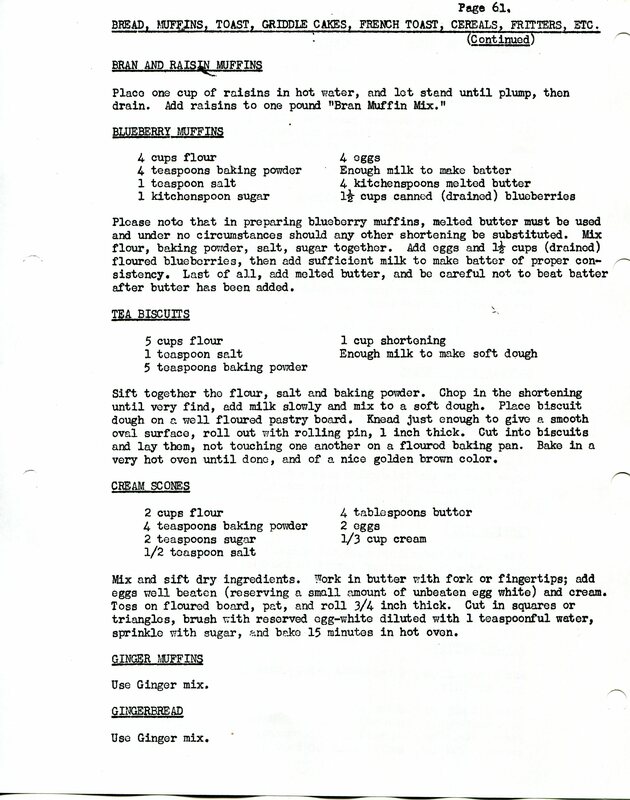 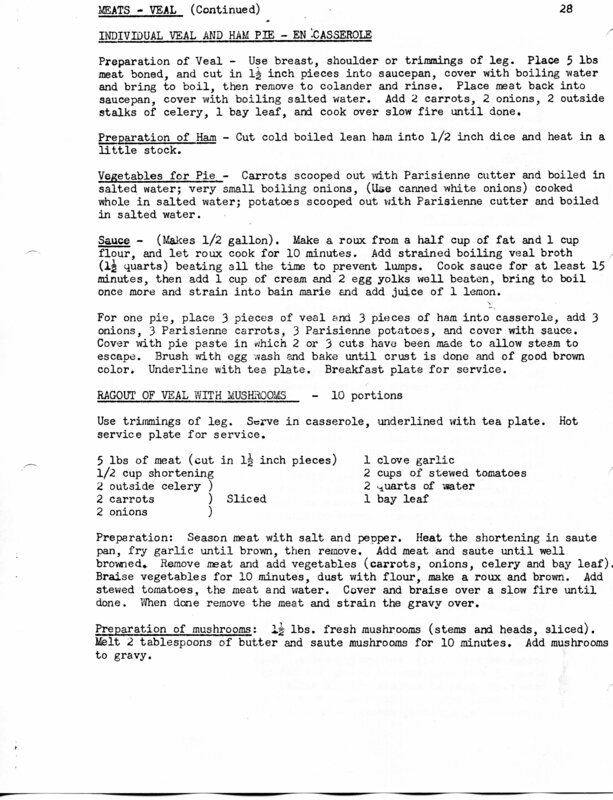 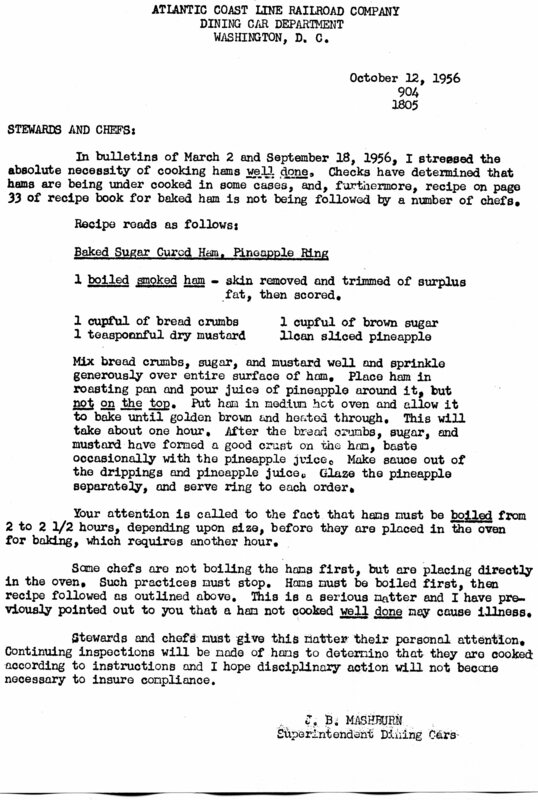 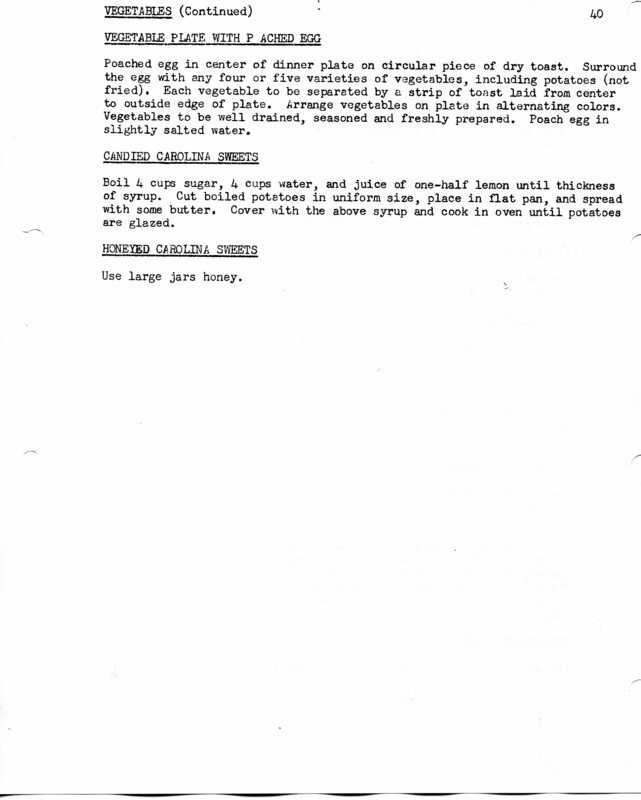 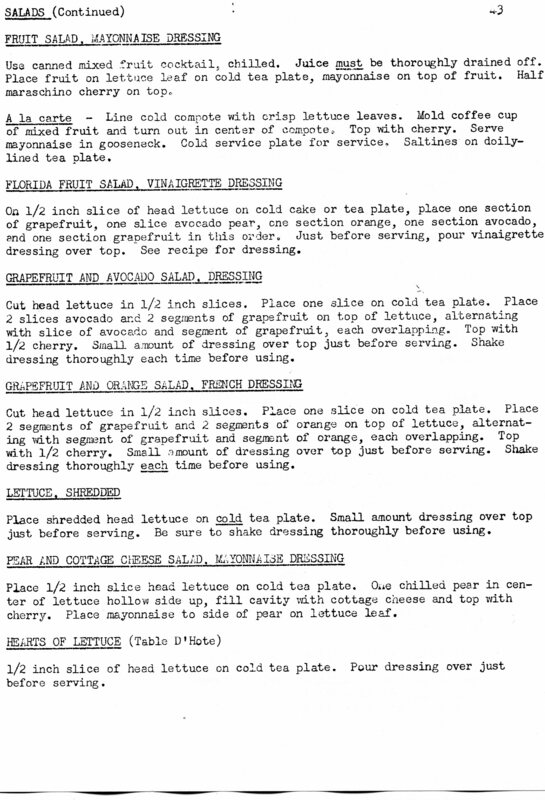 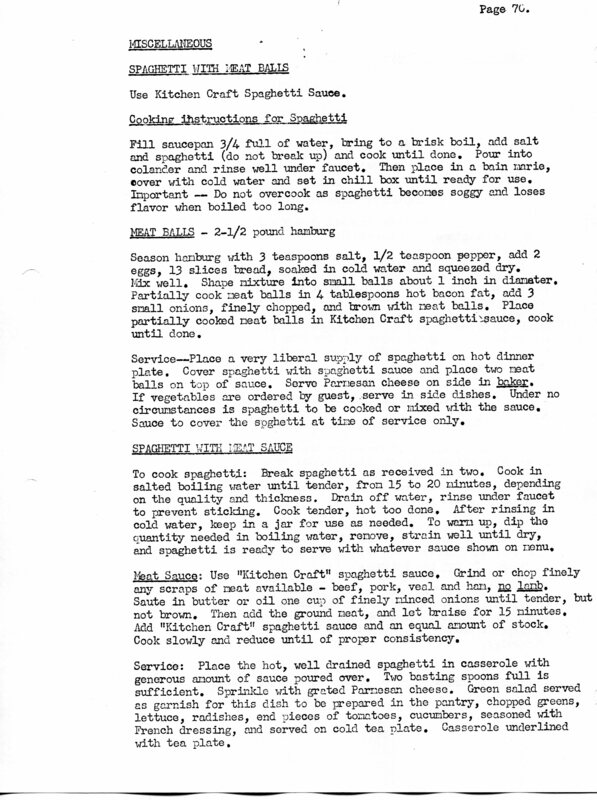 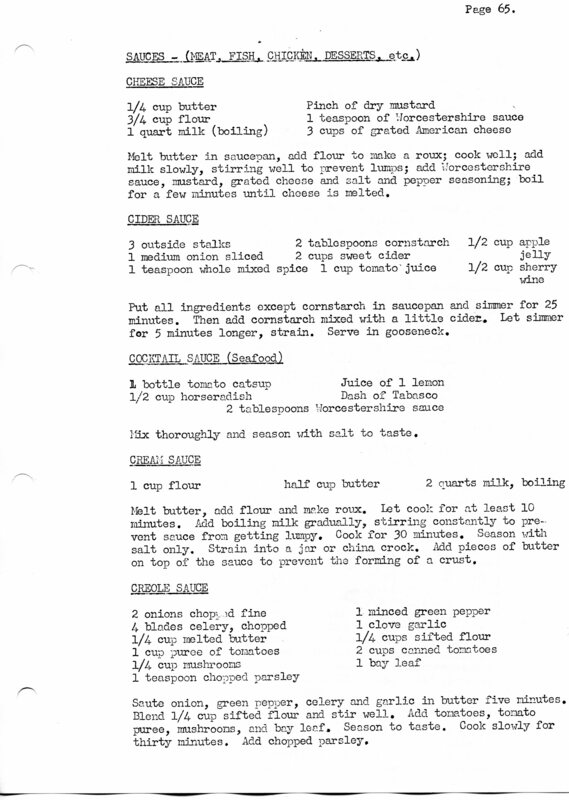 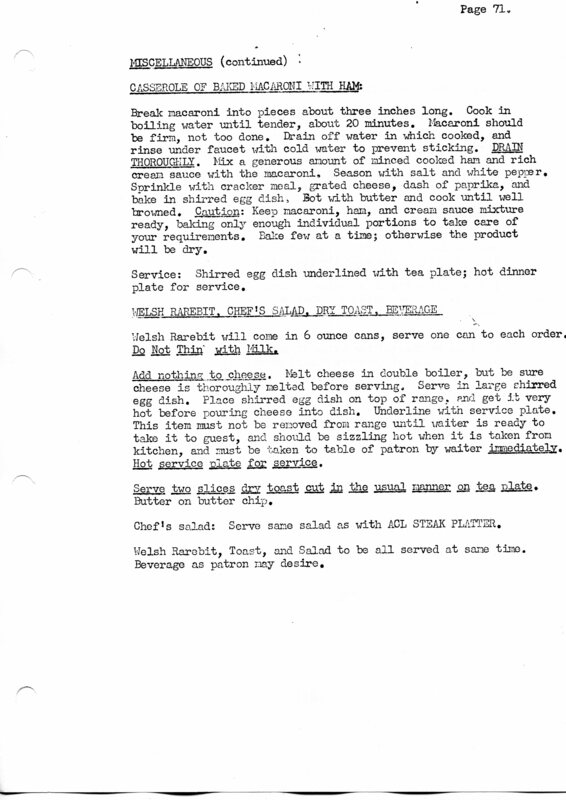 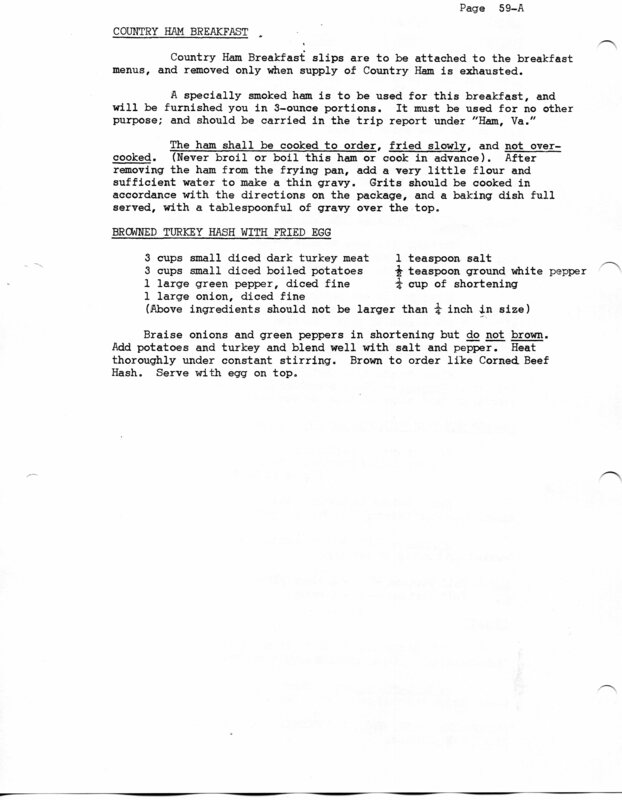 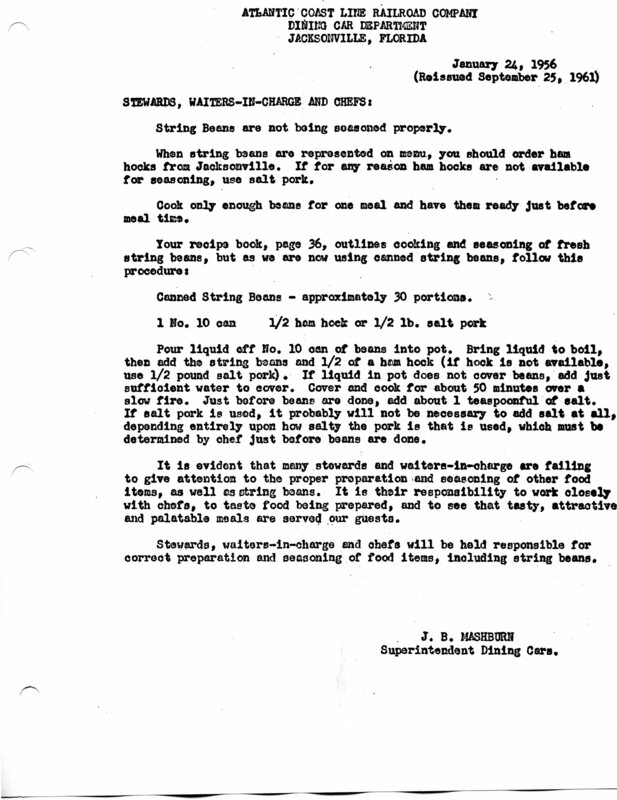 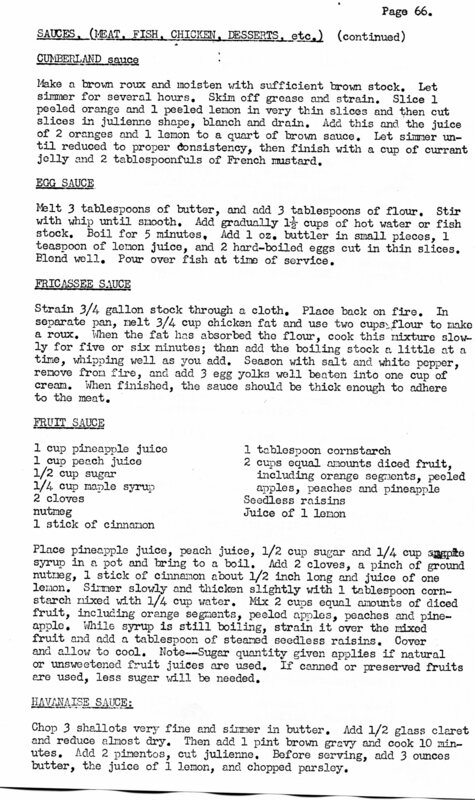 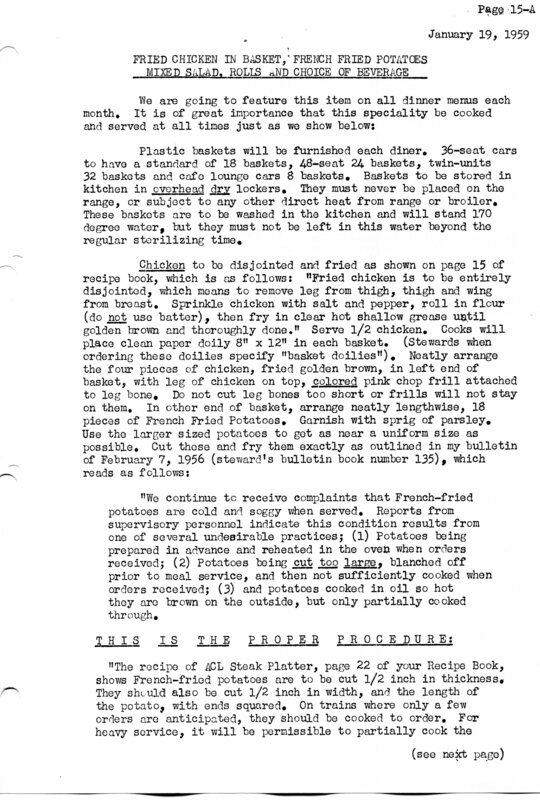 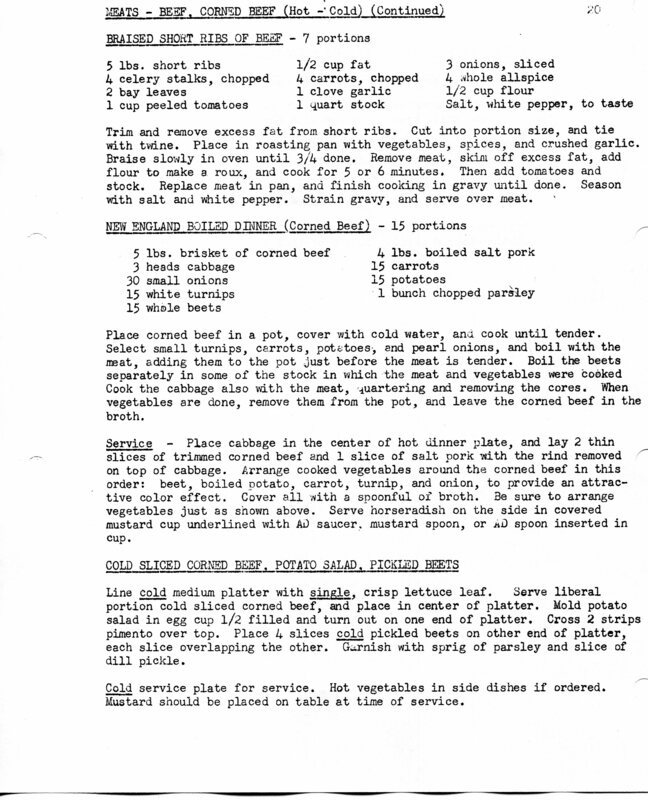 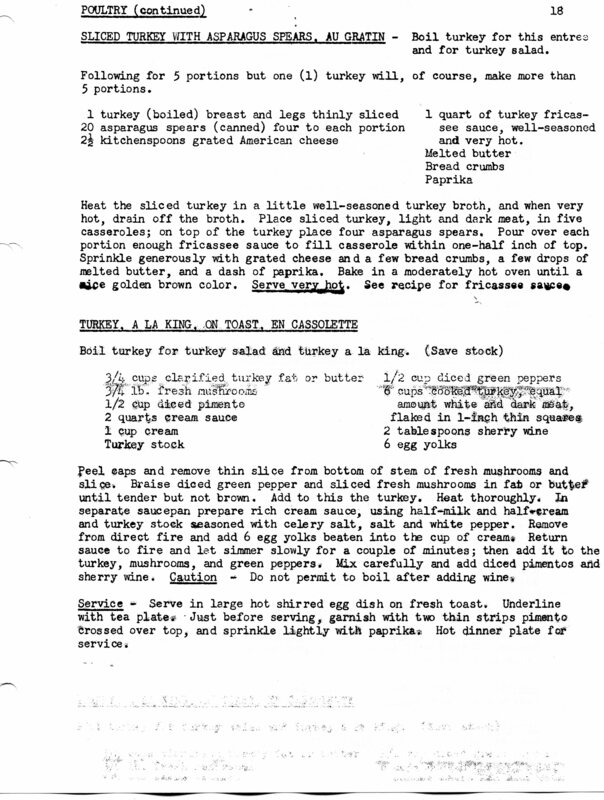 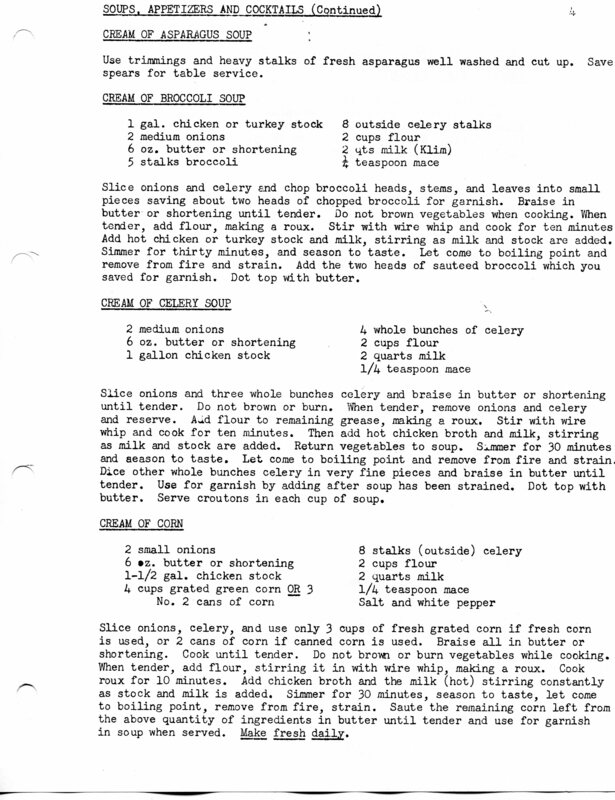 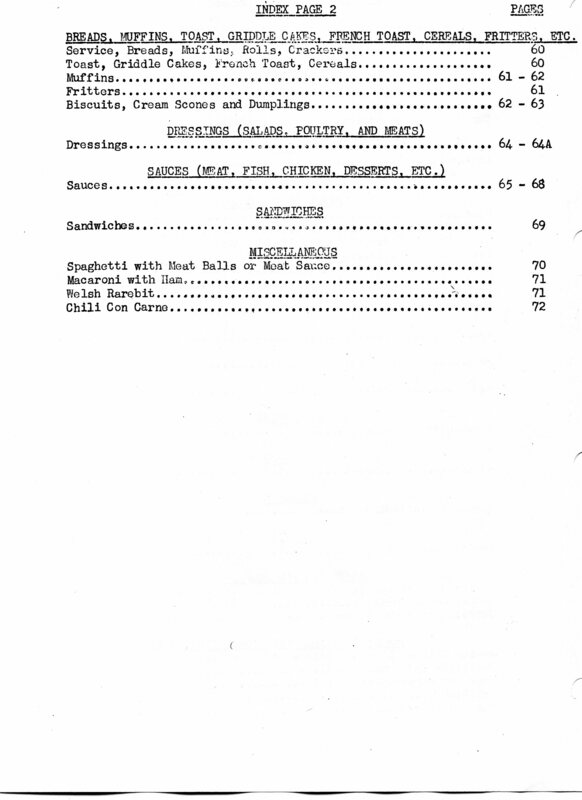 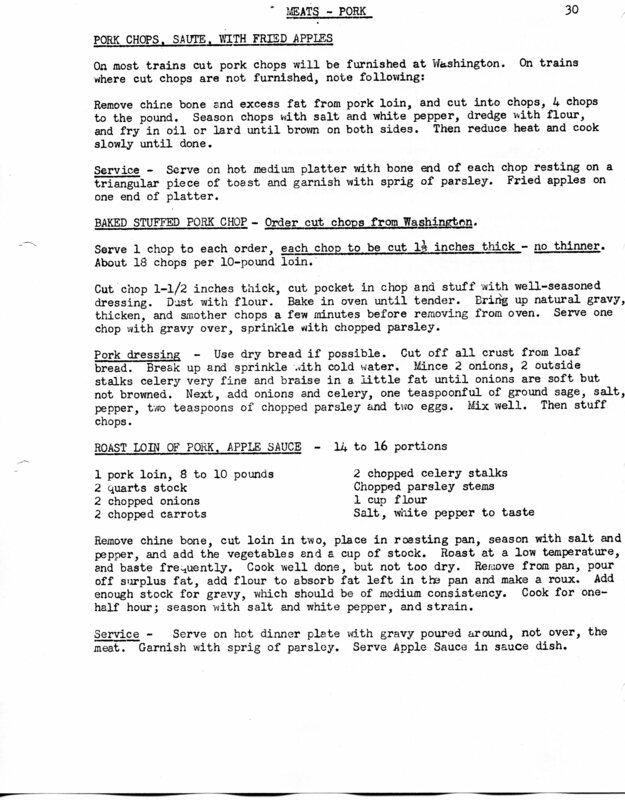 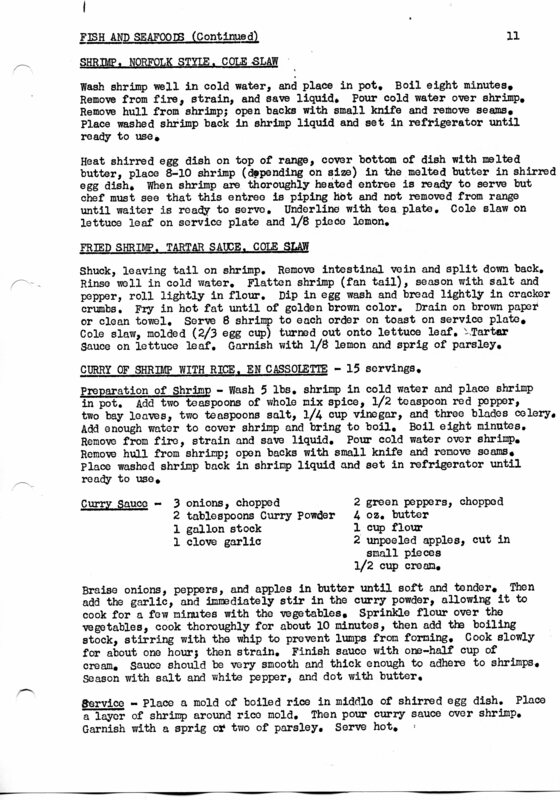 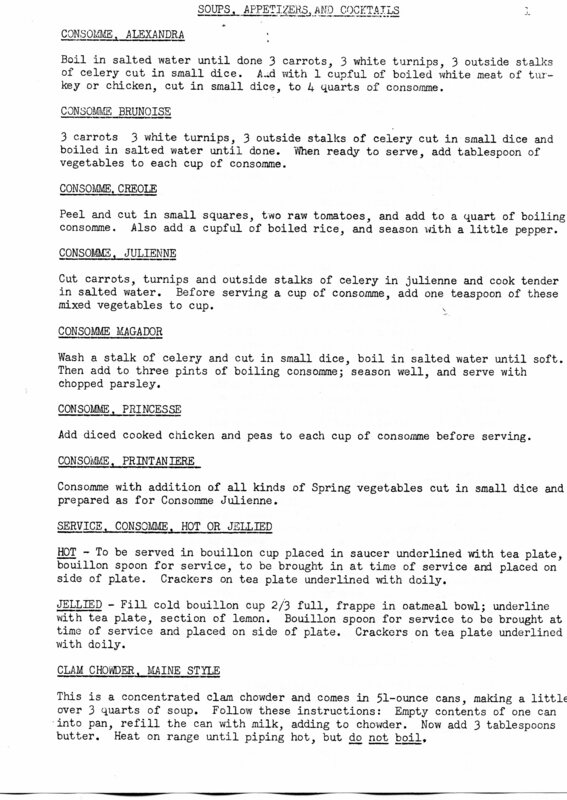 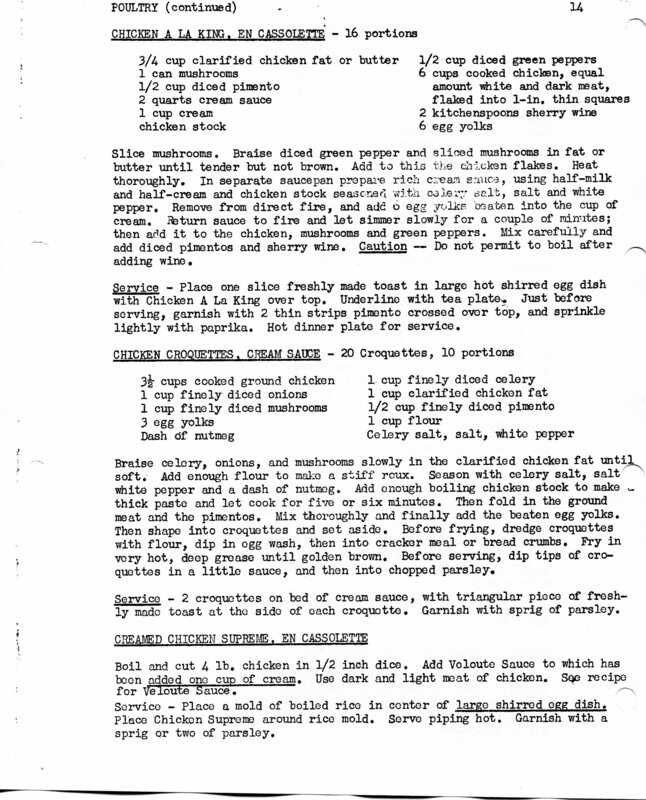 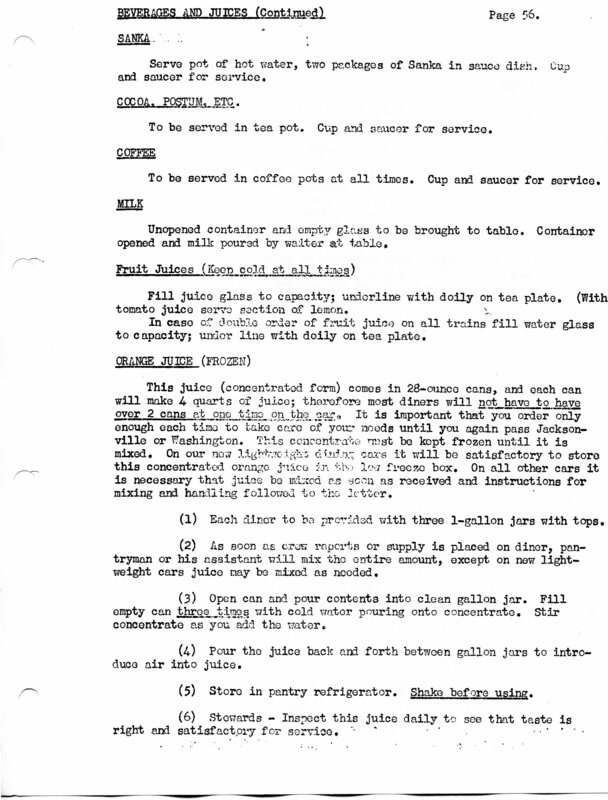 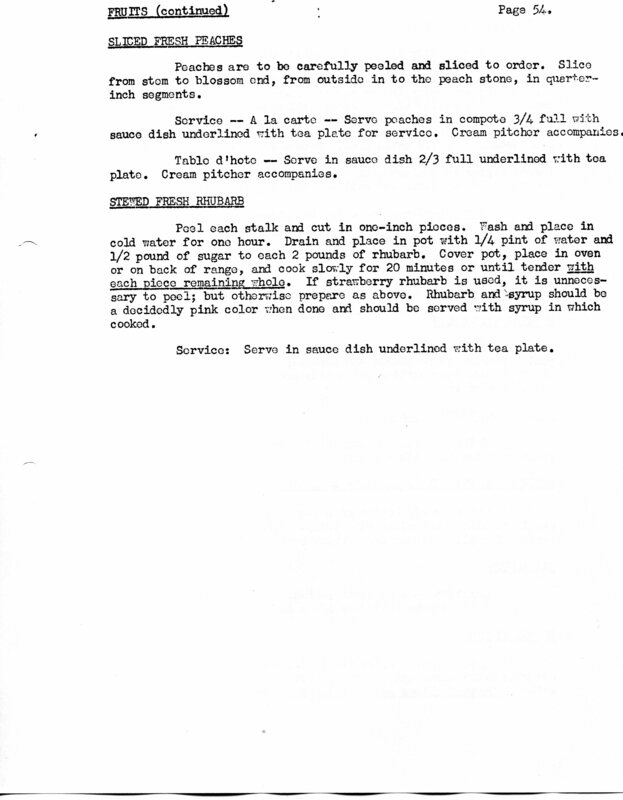 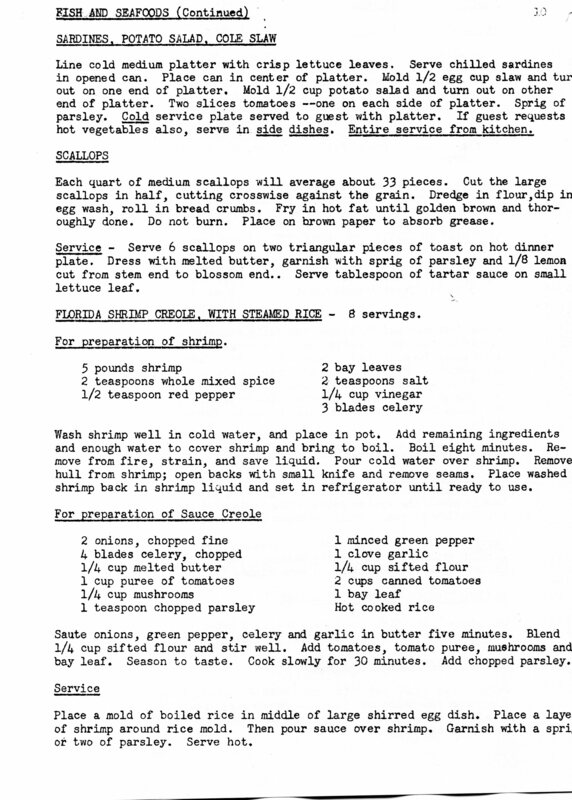 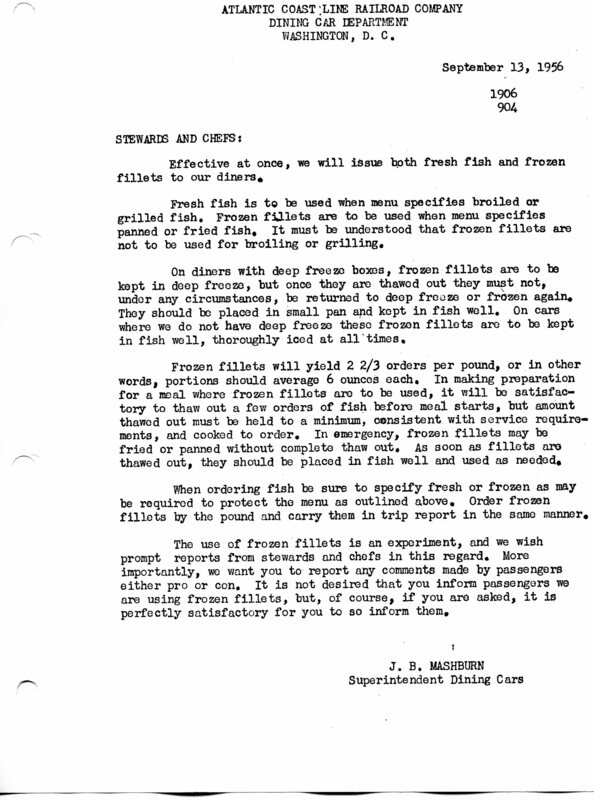 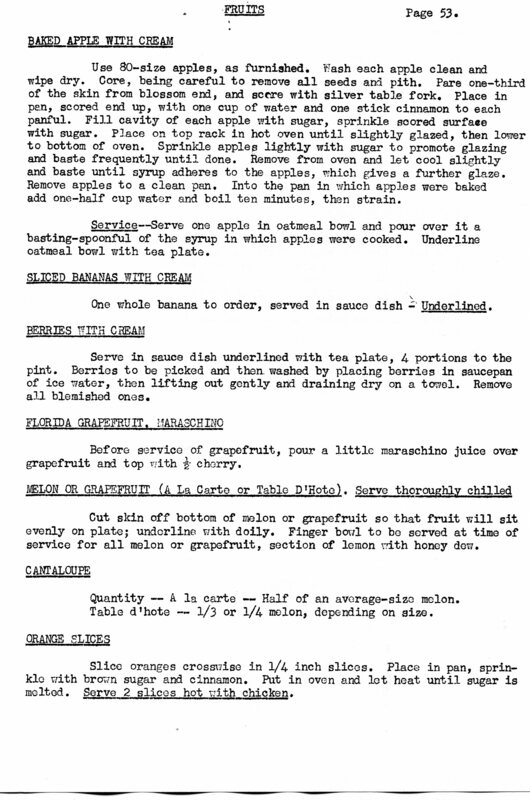 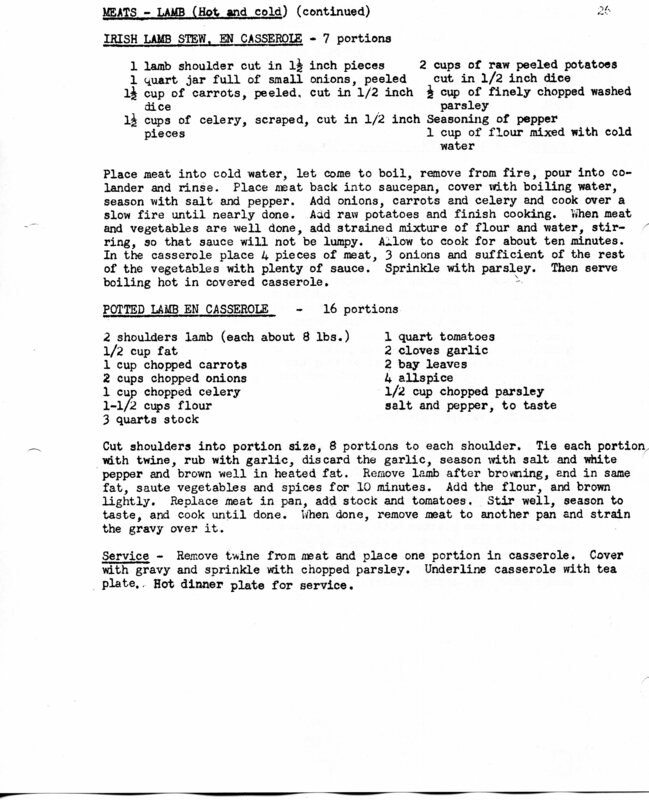 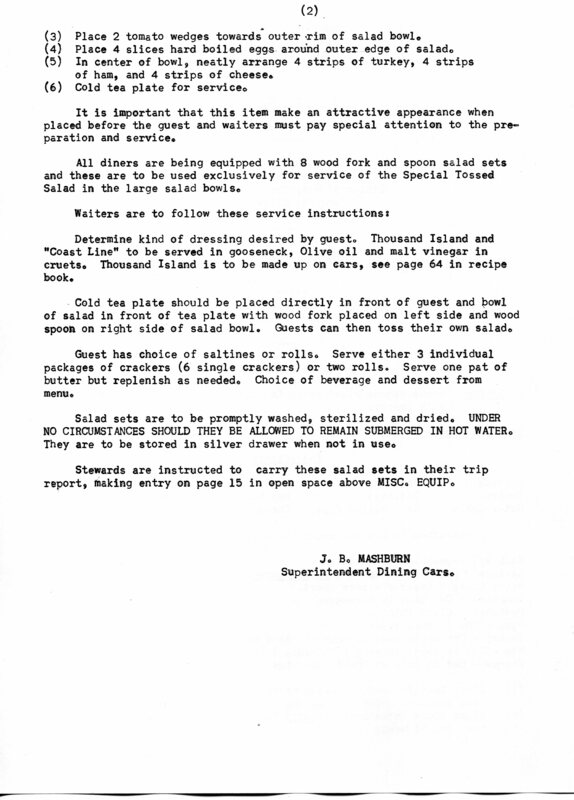 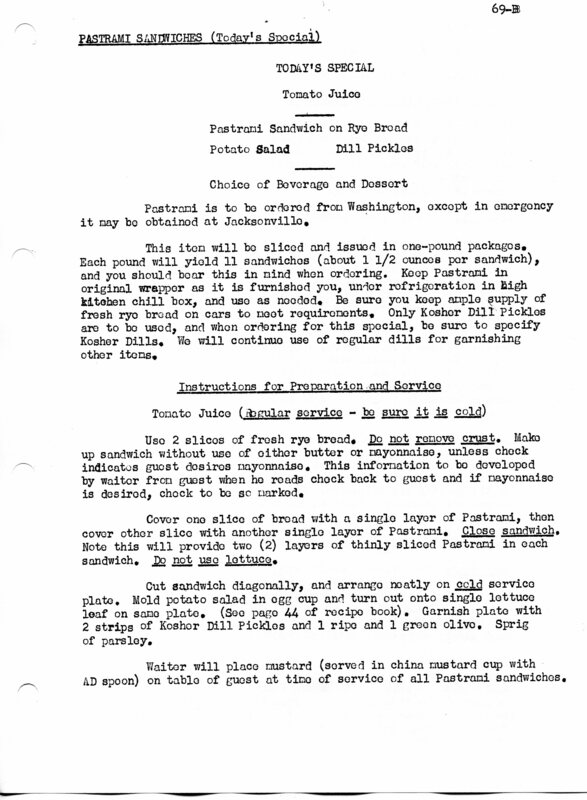 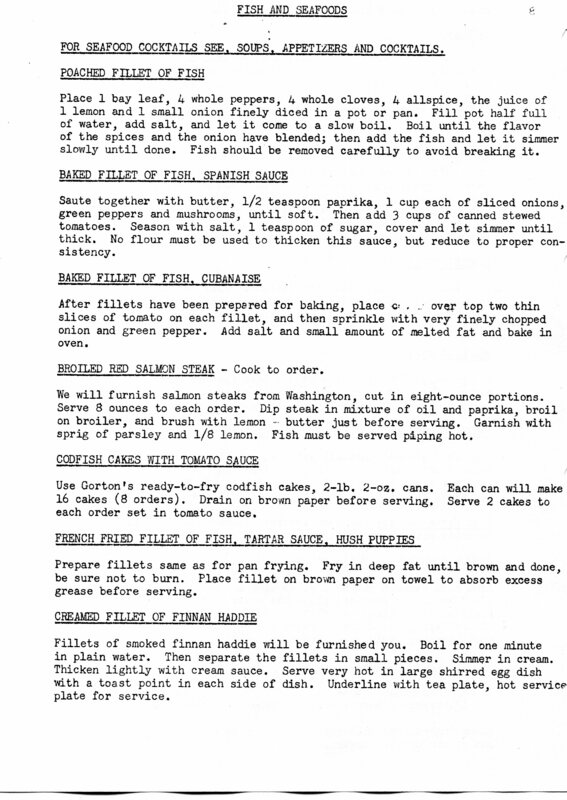 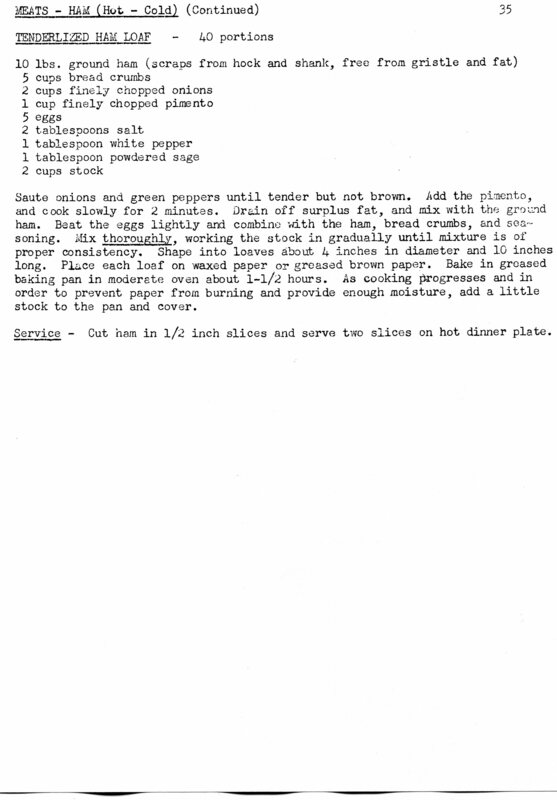 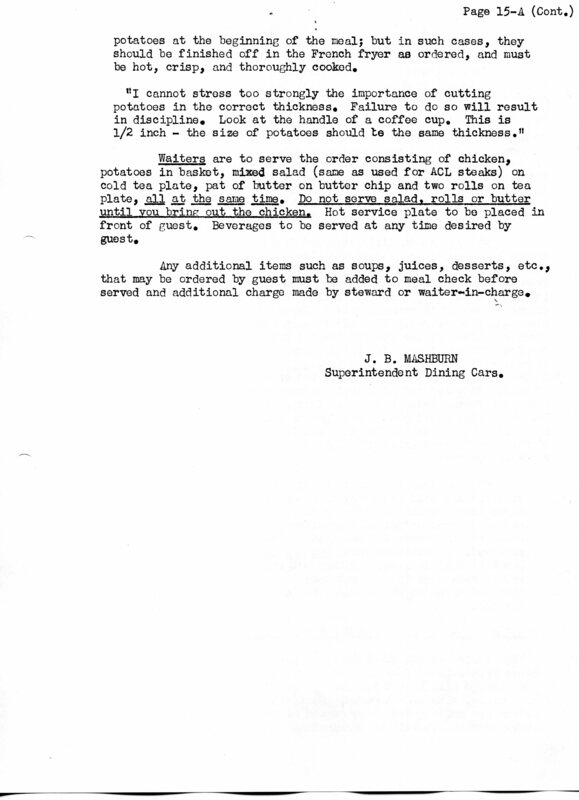 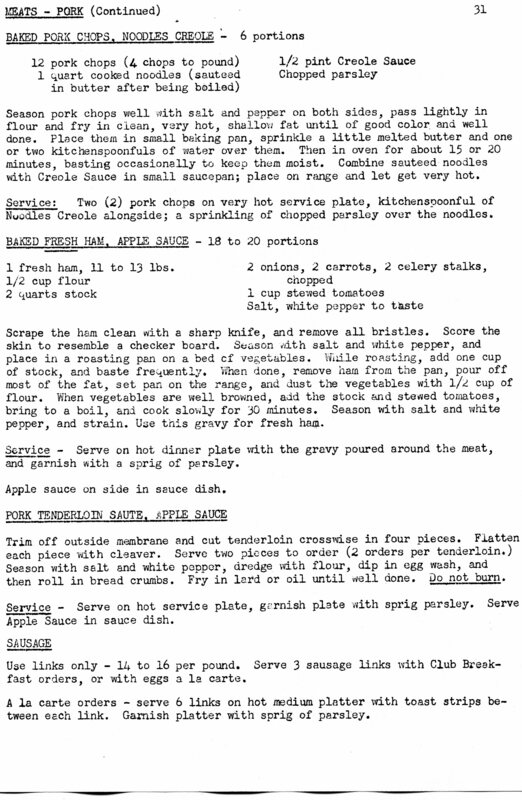 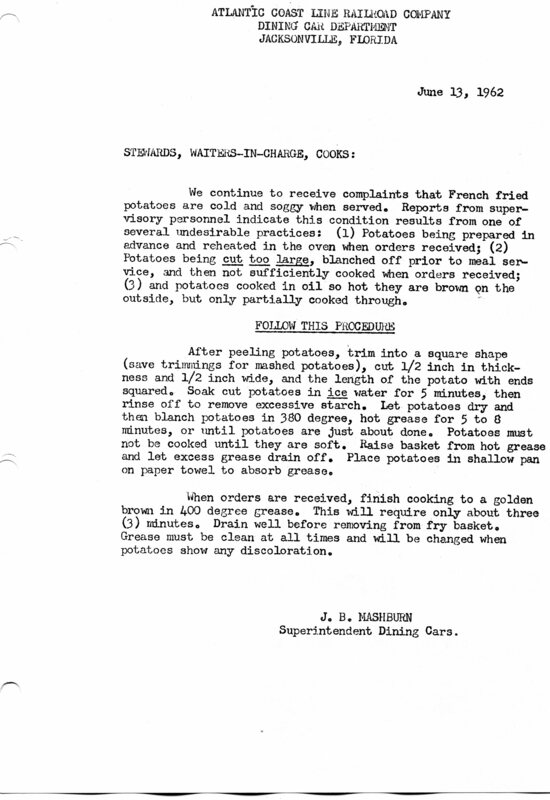 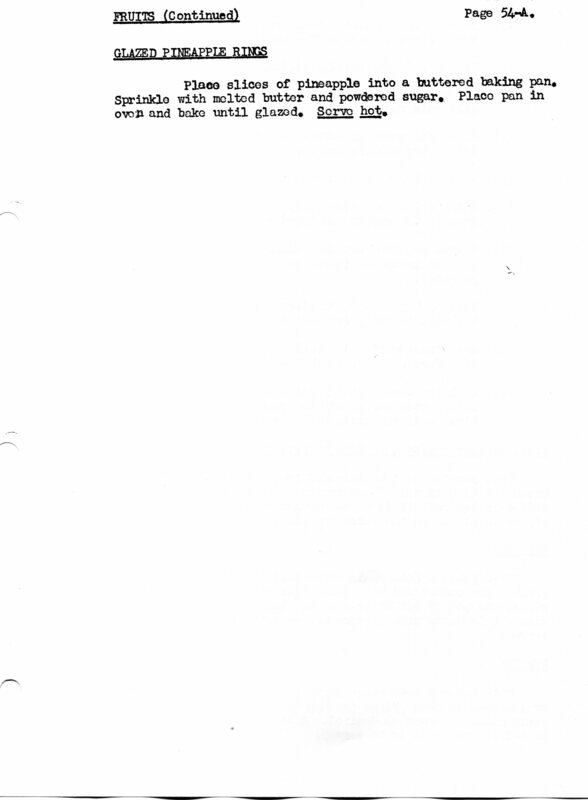 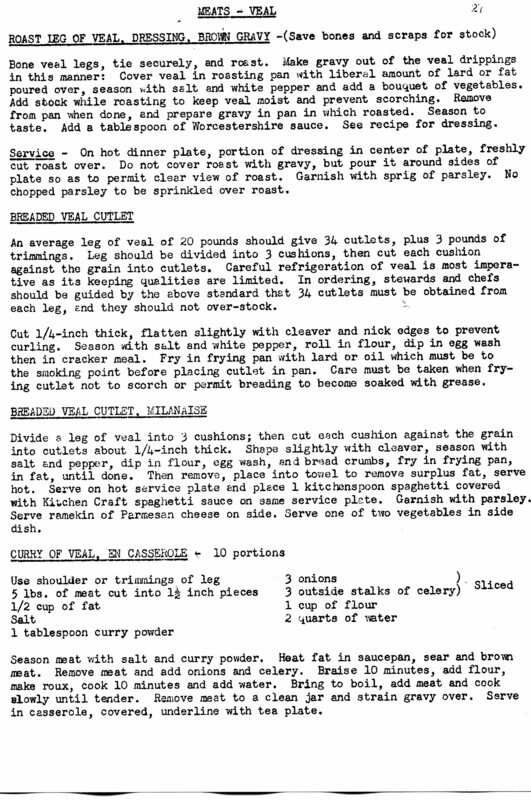 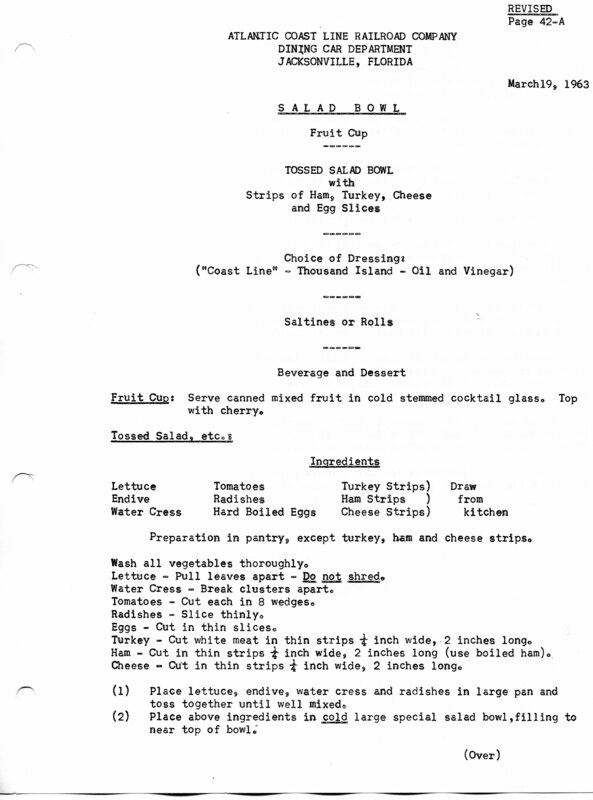 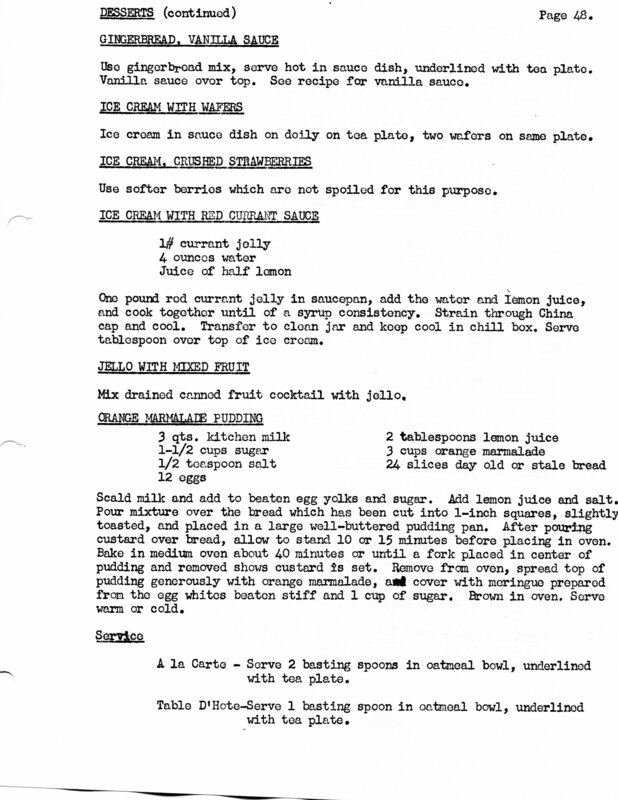 1953 document from ACL Dining Car Department. 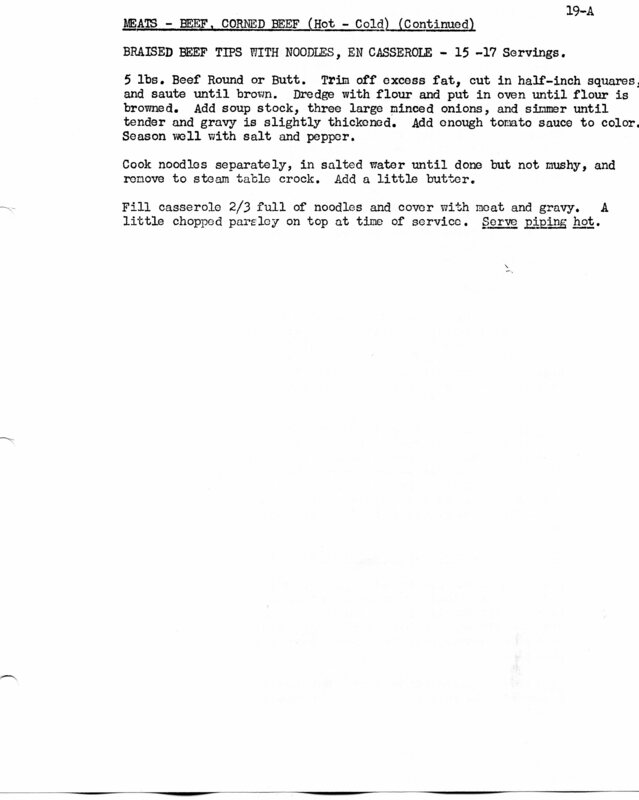 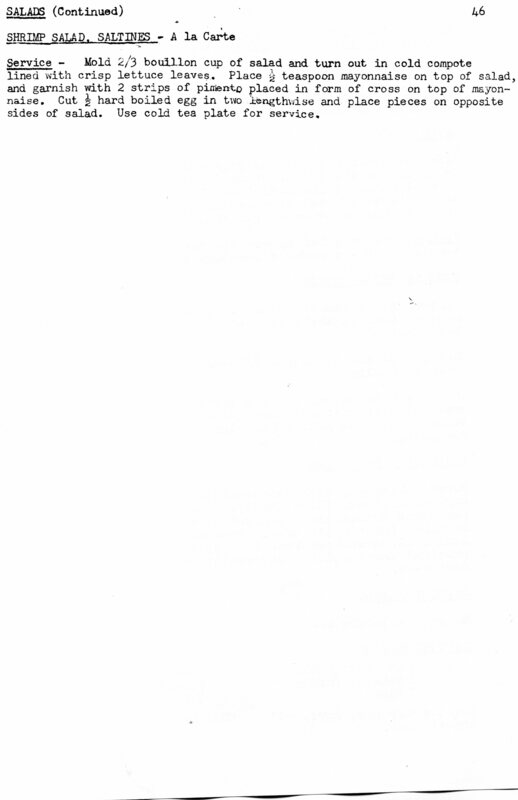 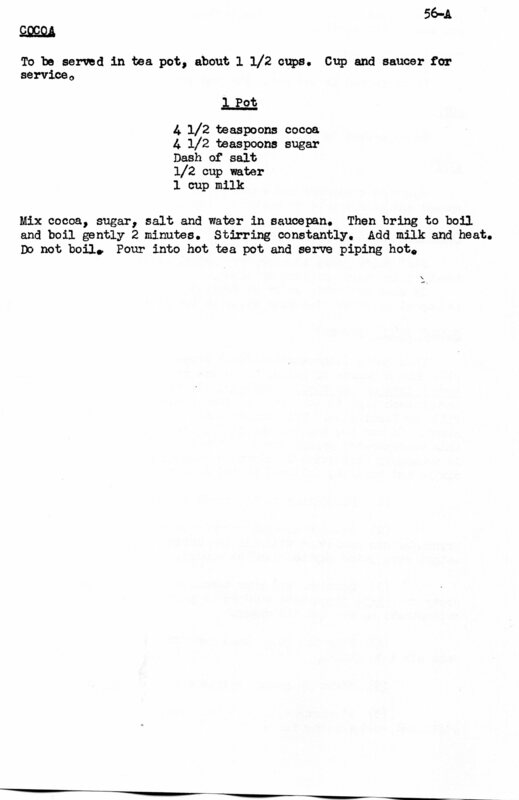 This scan was taken from a reproduction document produced by the Wilmington Railroad Museum of Wilmington, NC. 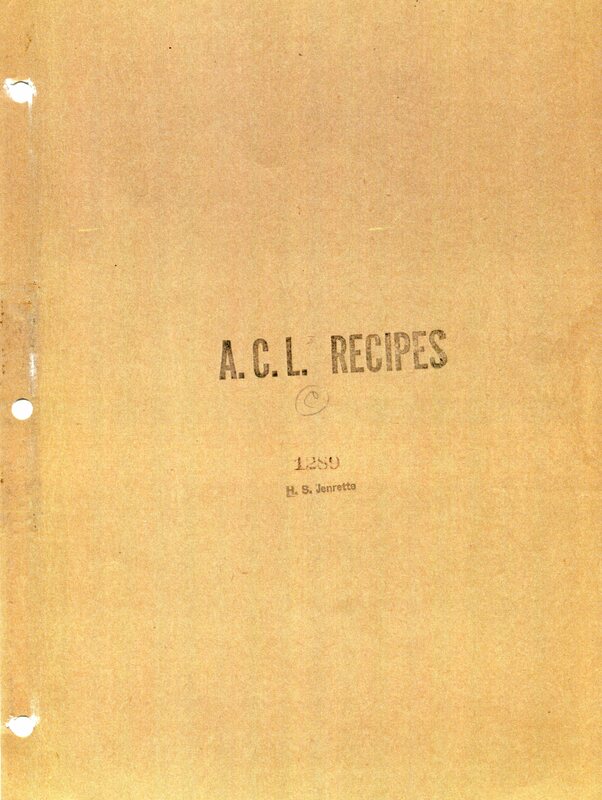 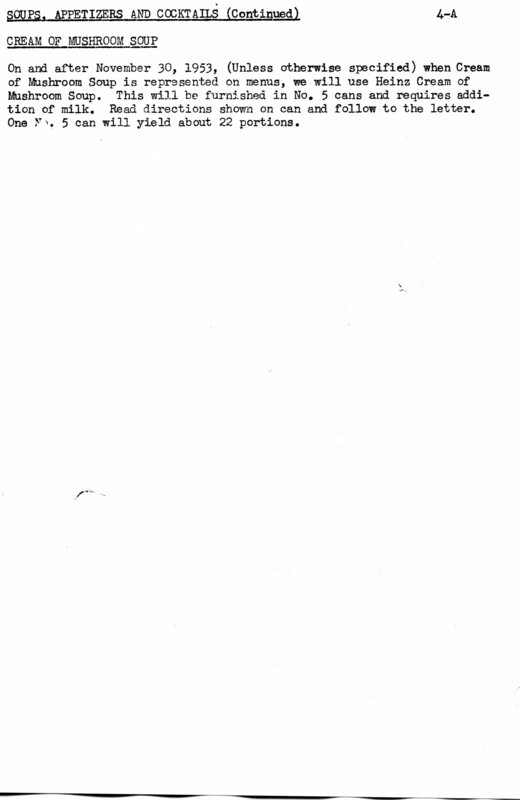 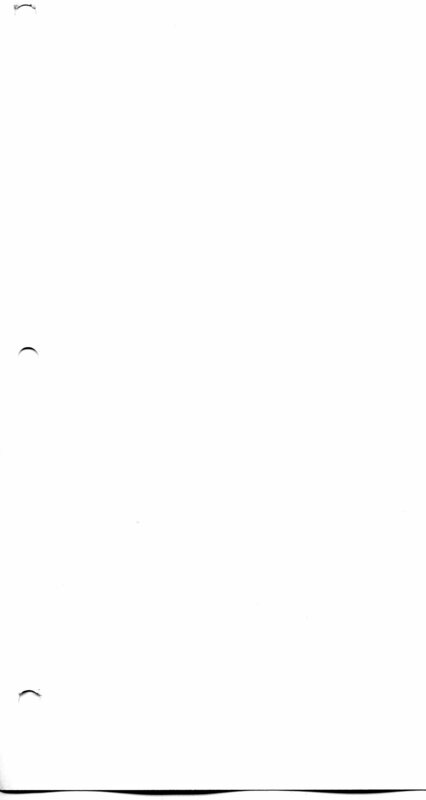 The original document was owned by ACL employee H.S. 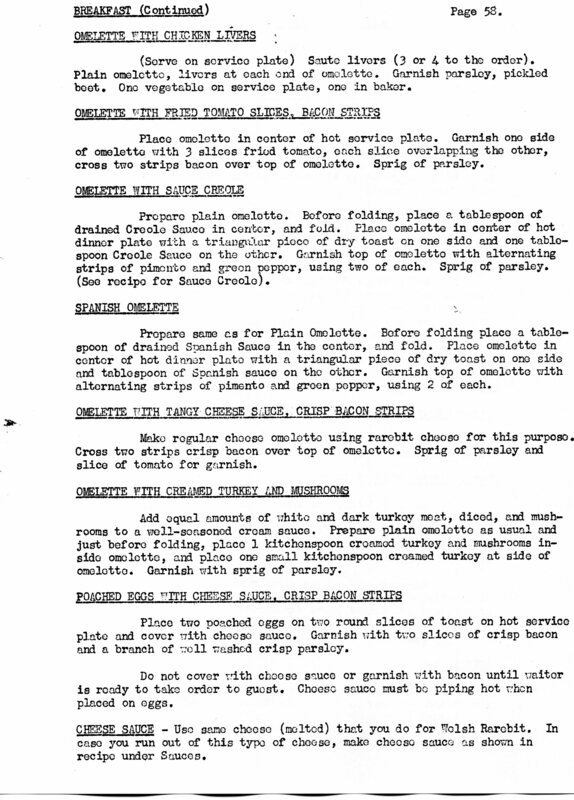 Jenrette.